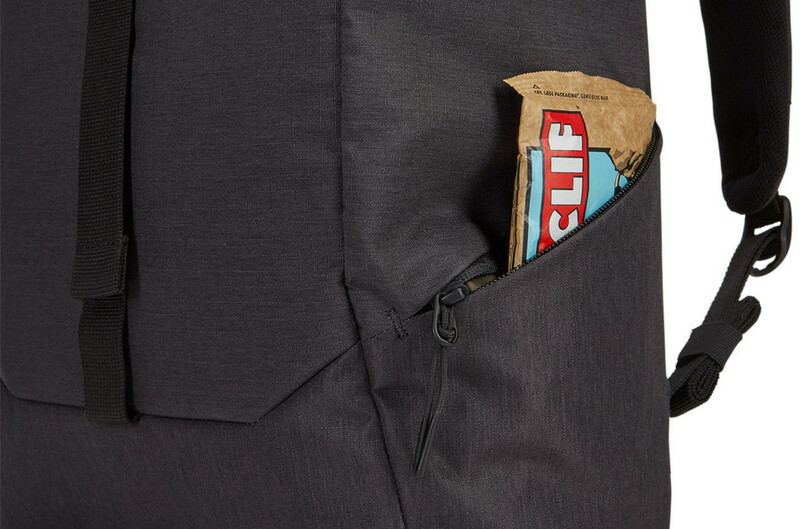 for whatever the day might bring. 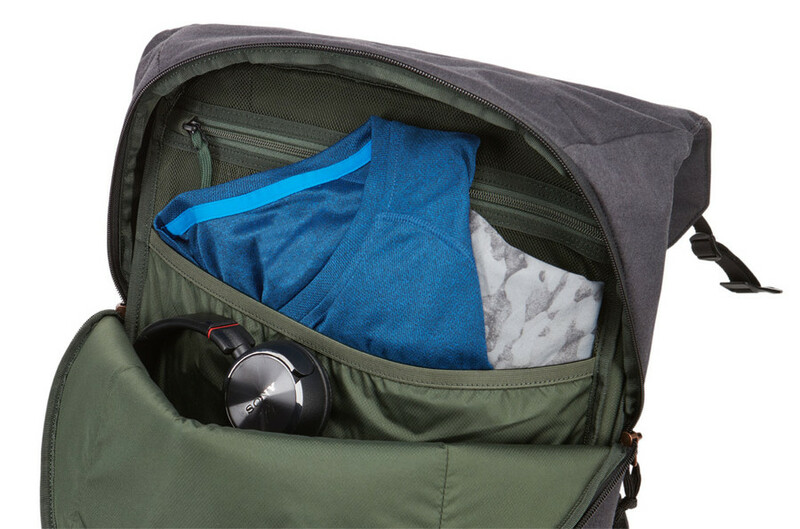 gym or a weekend adventure. 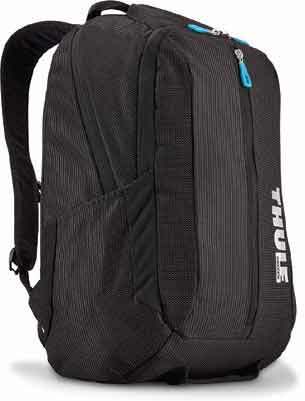 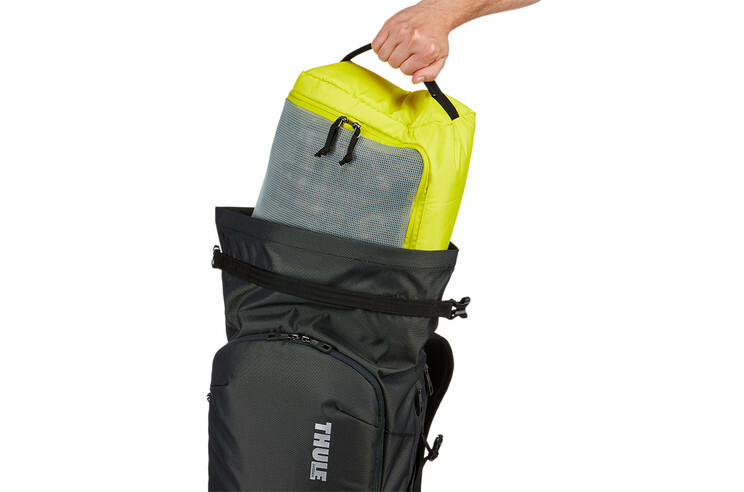 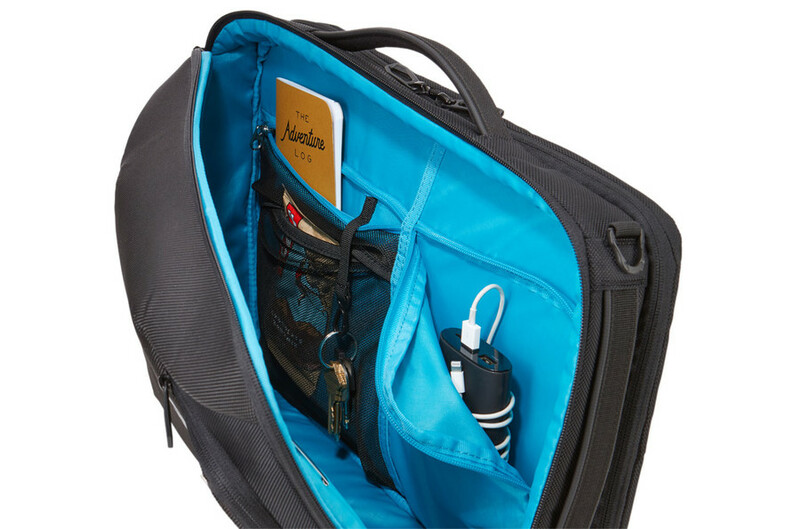 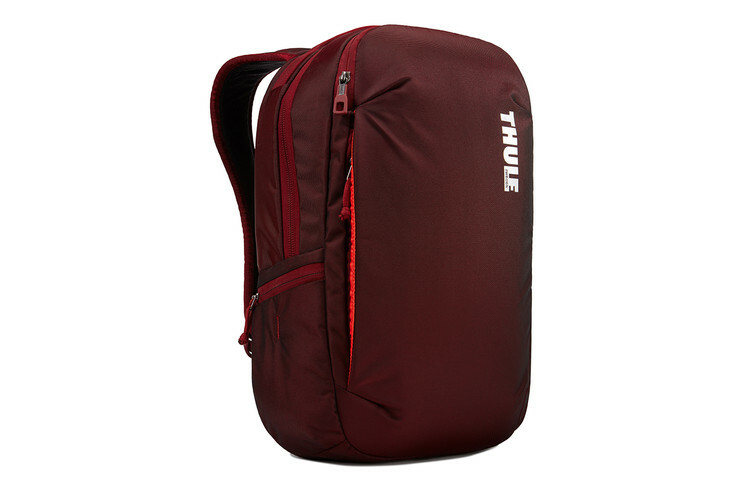 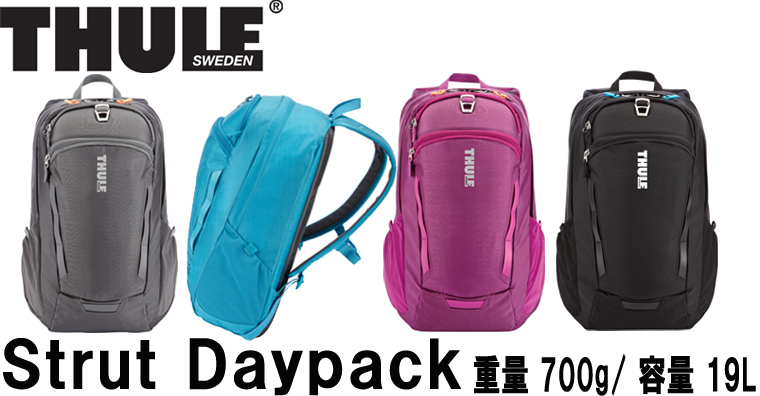 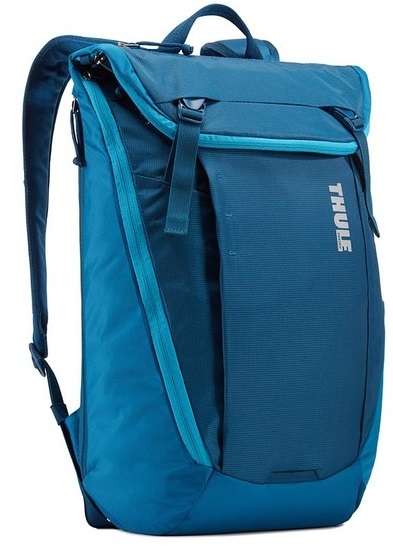 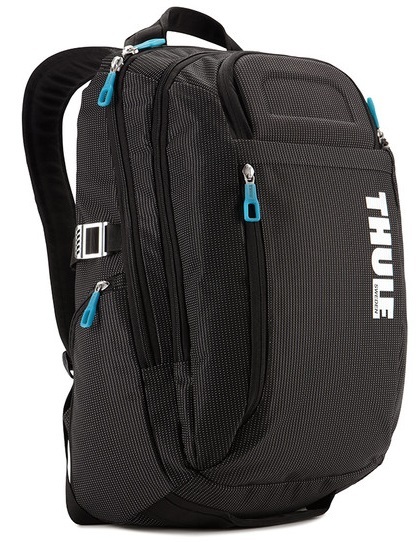 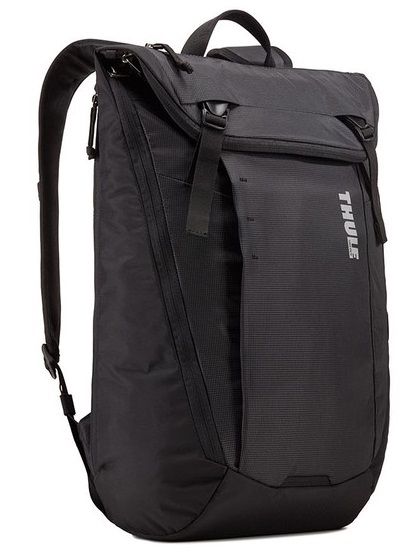 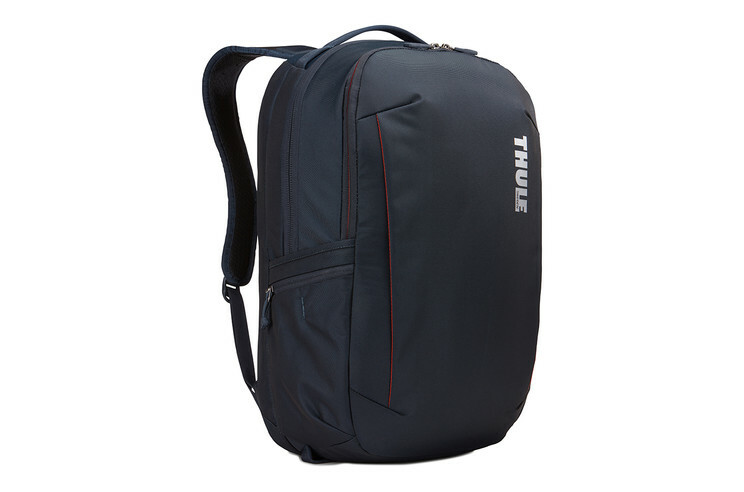 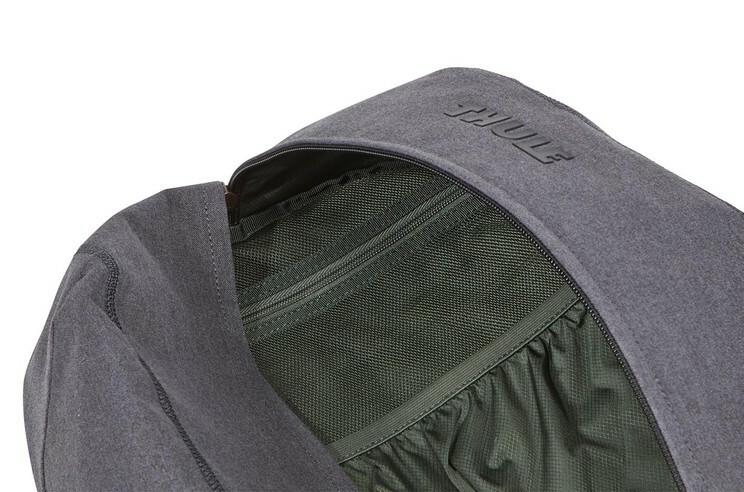 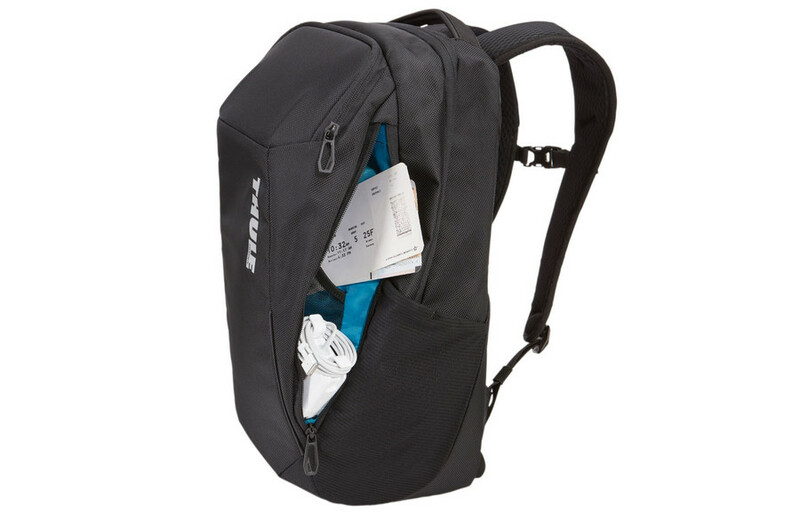 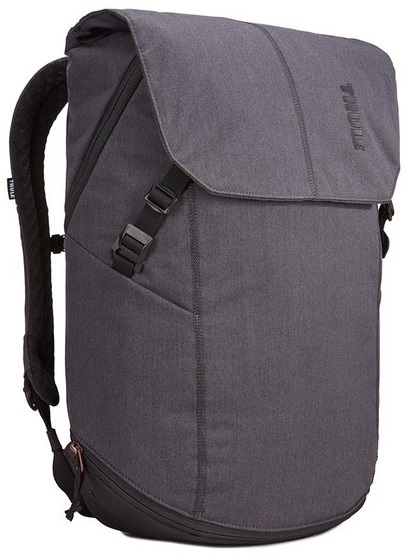 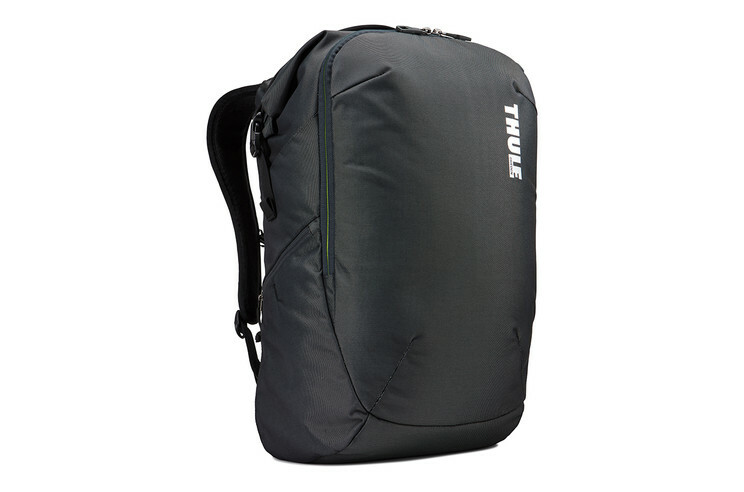 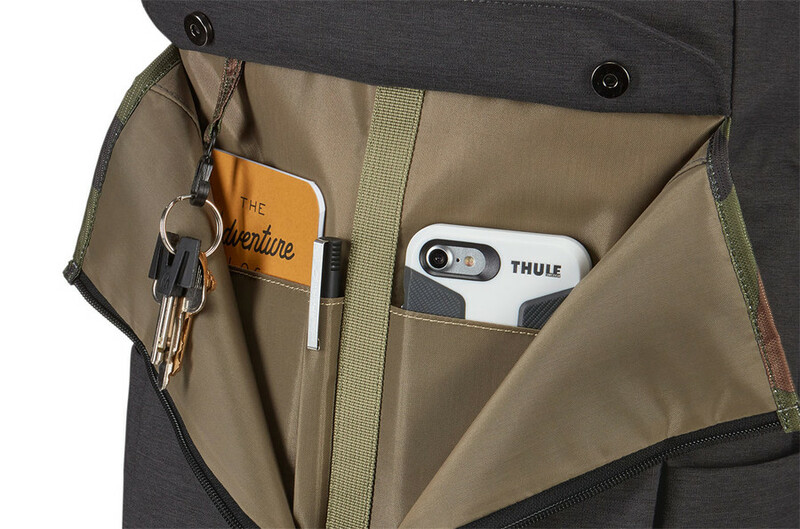 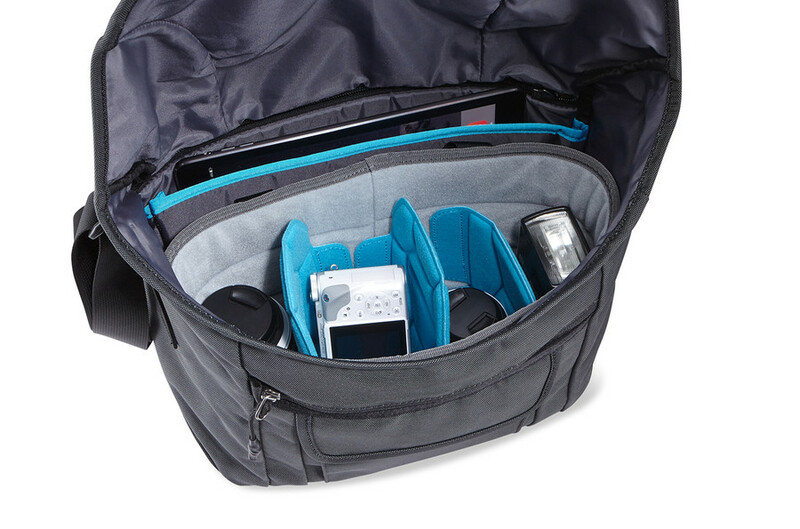 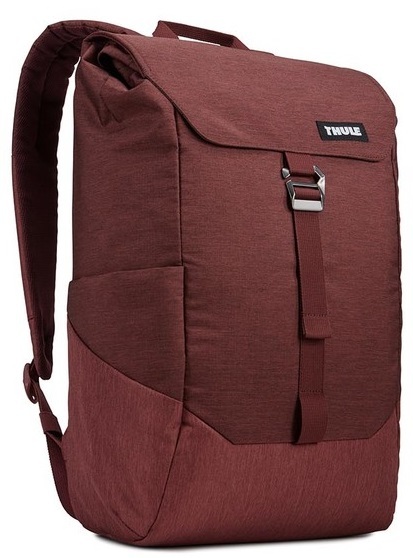 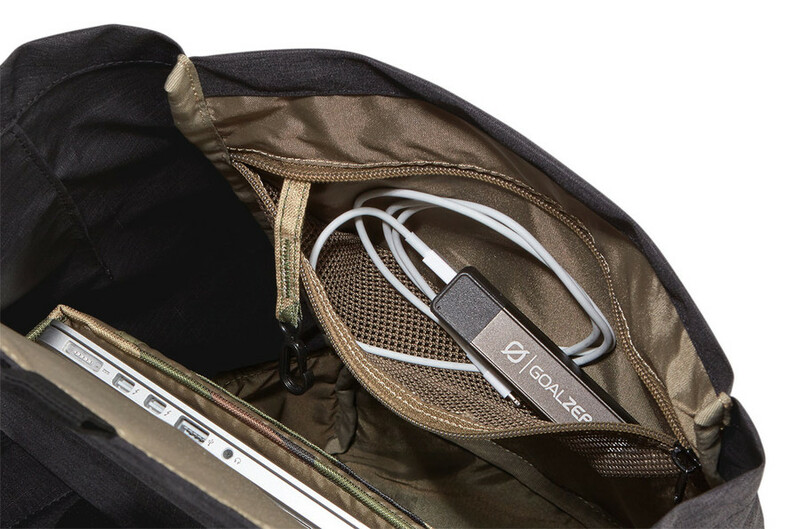 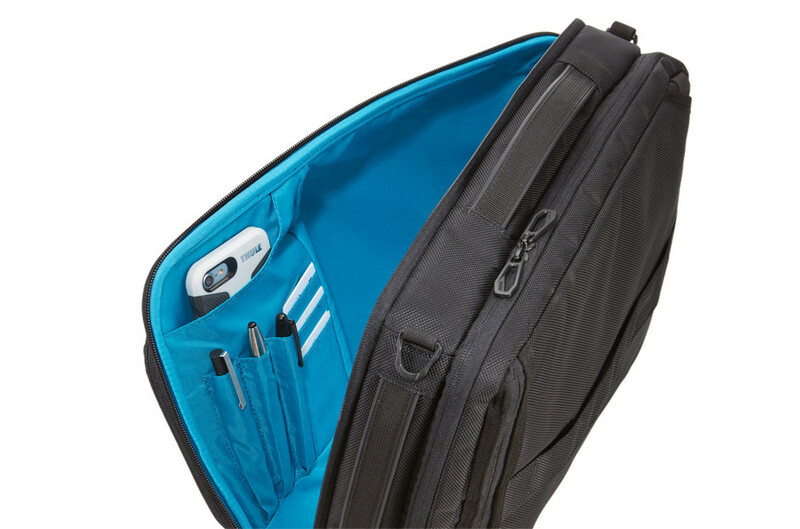 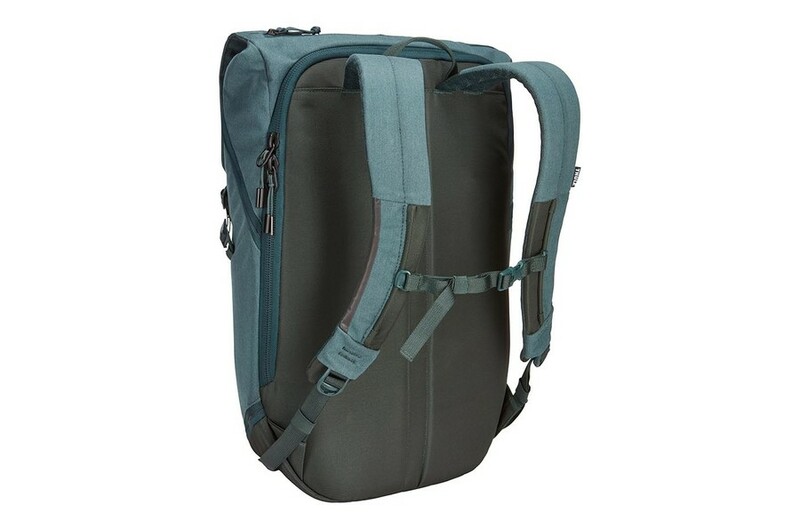 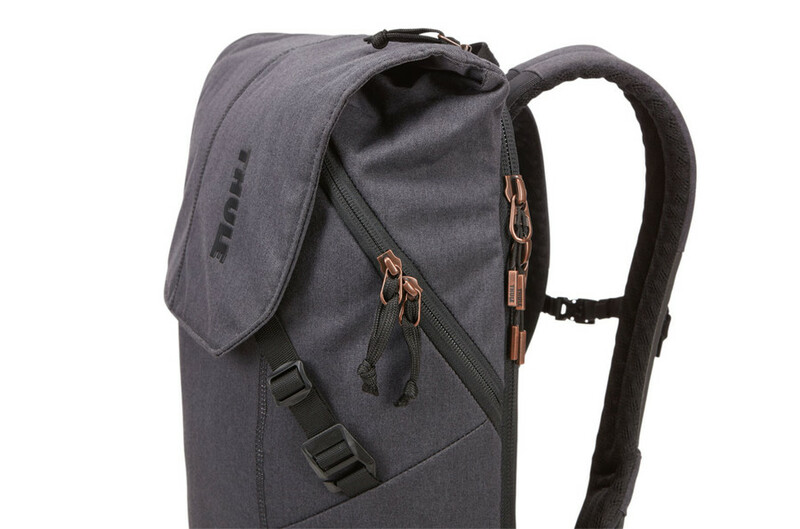 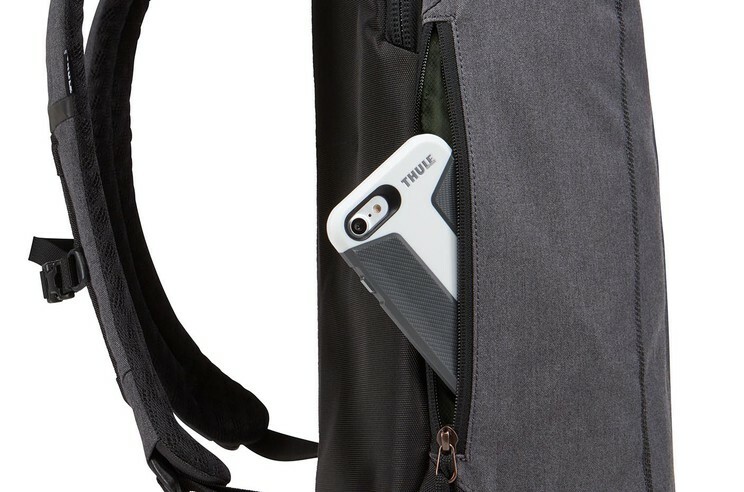 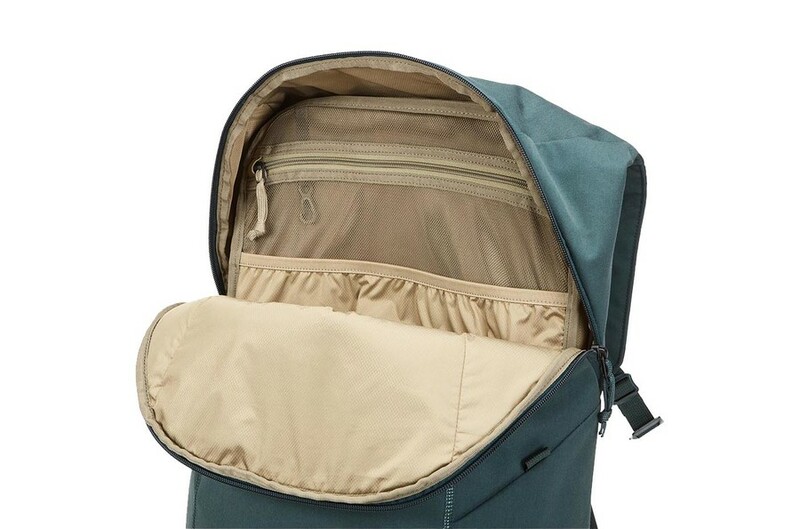 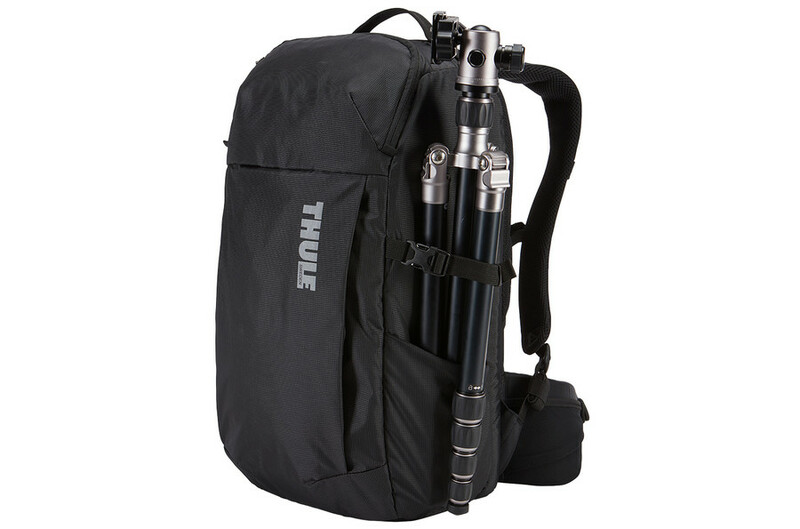 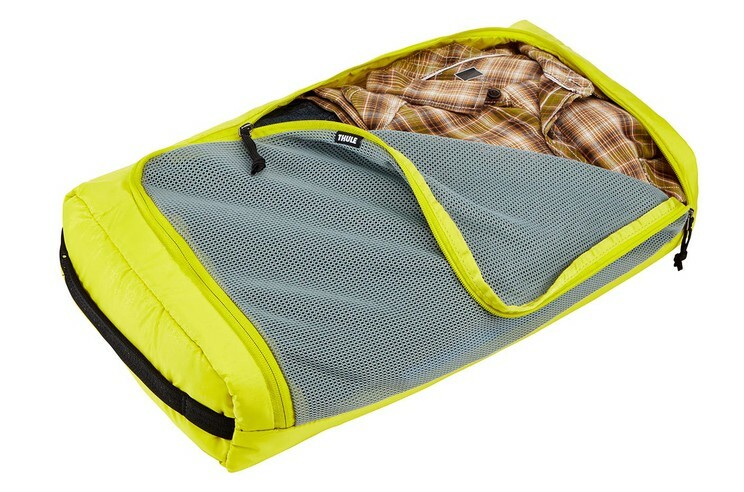 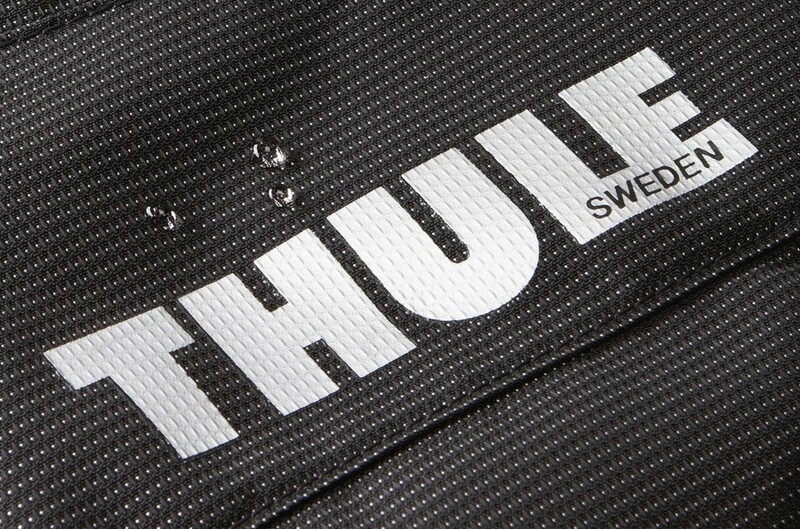 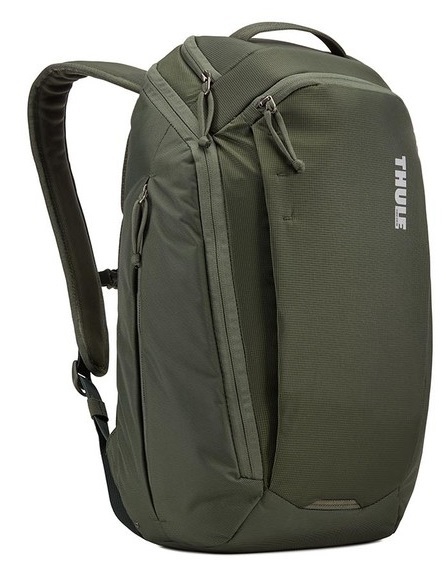 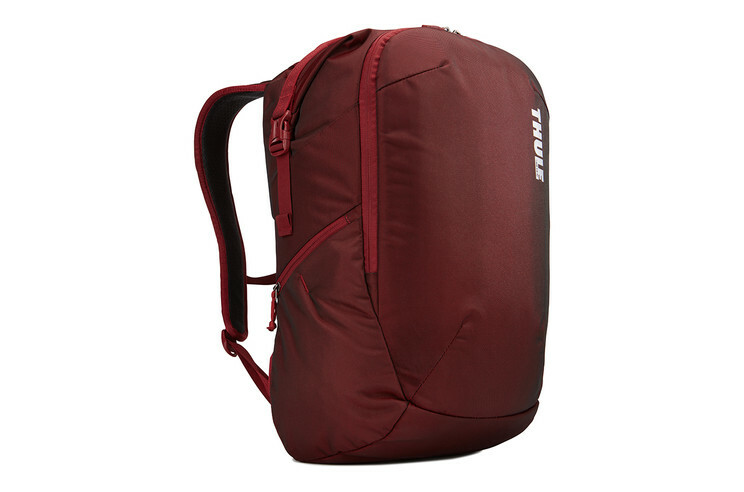 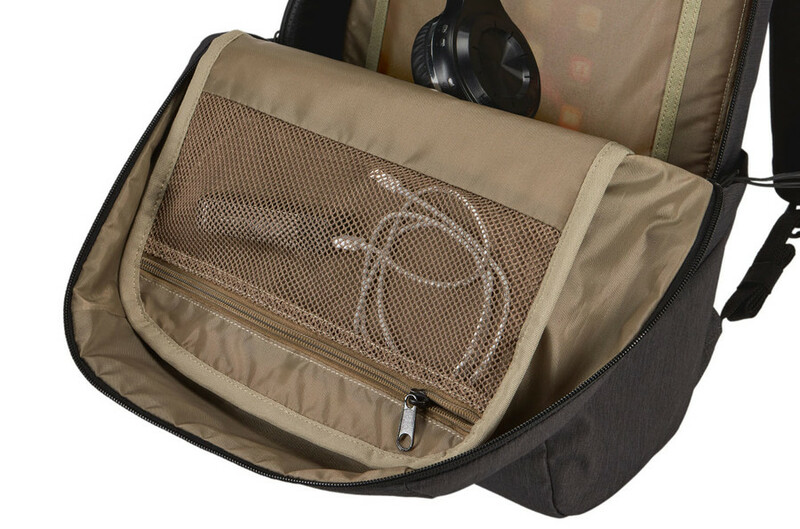 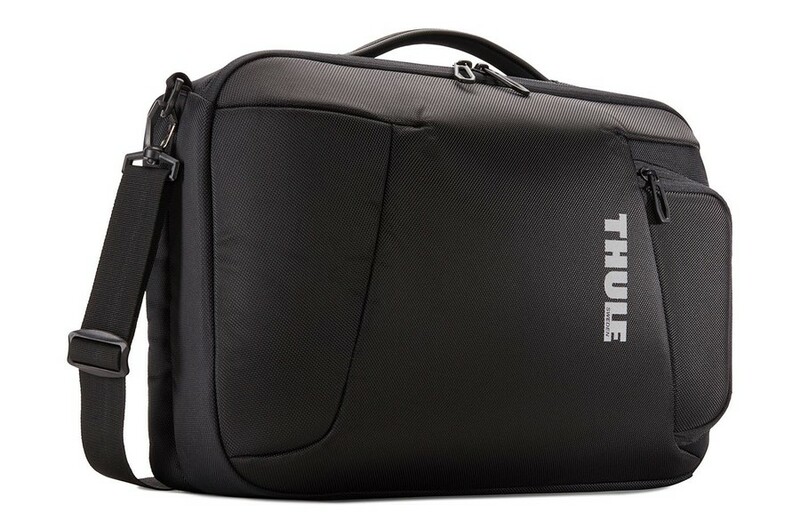 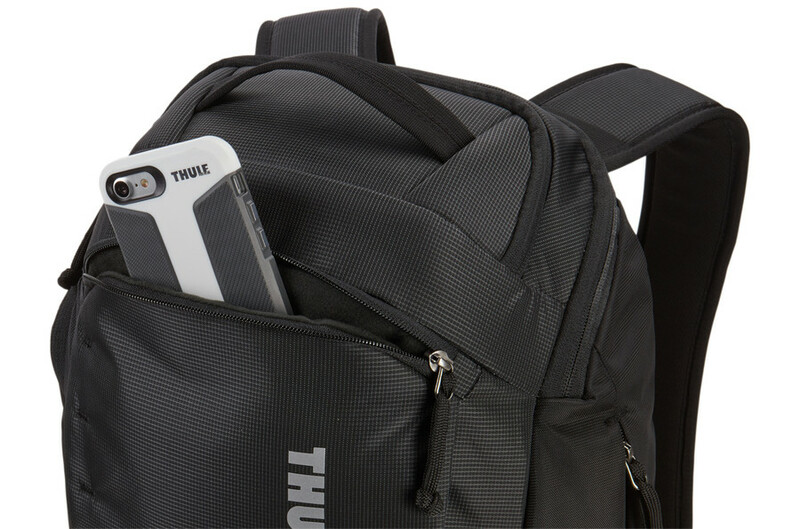 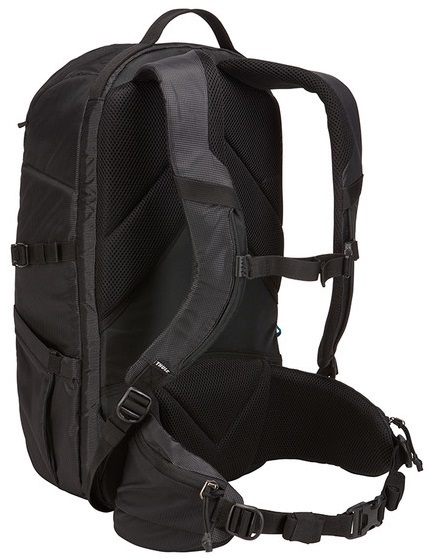 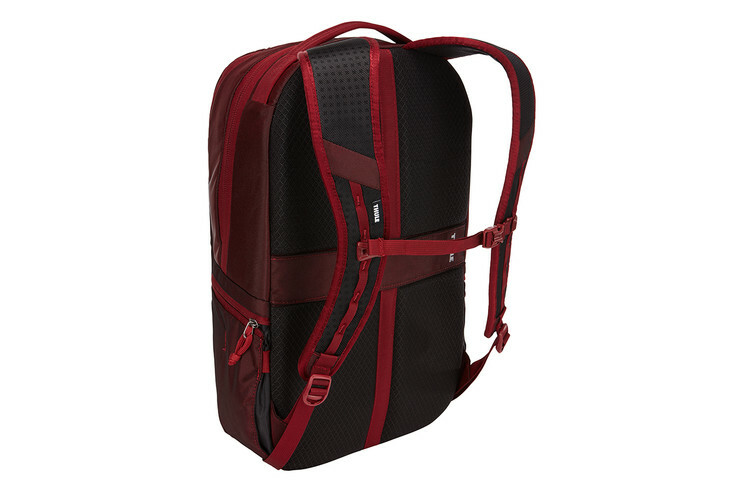 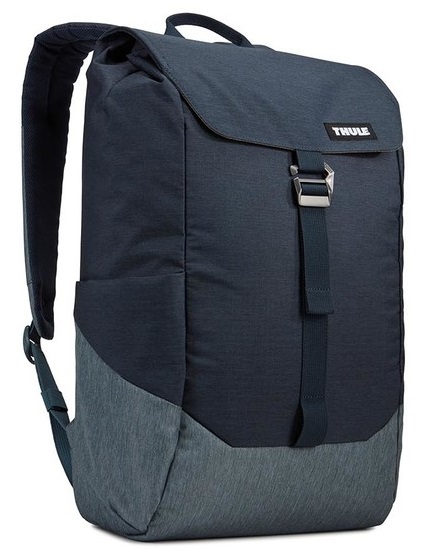 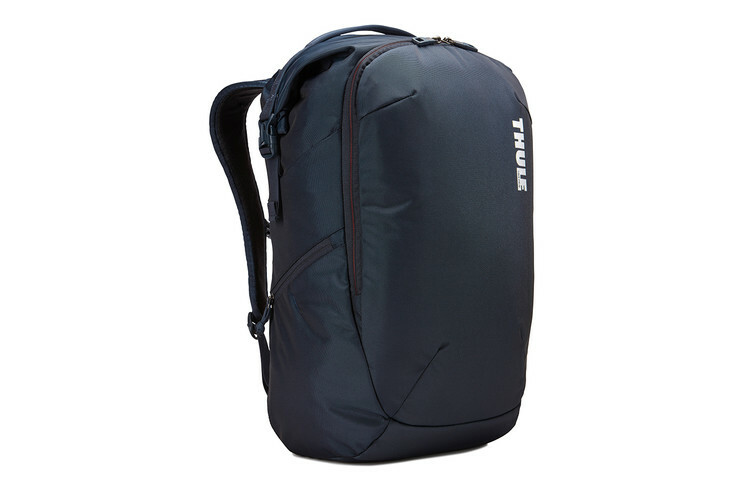 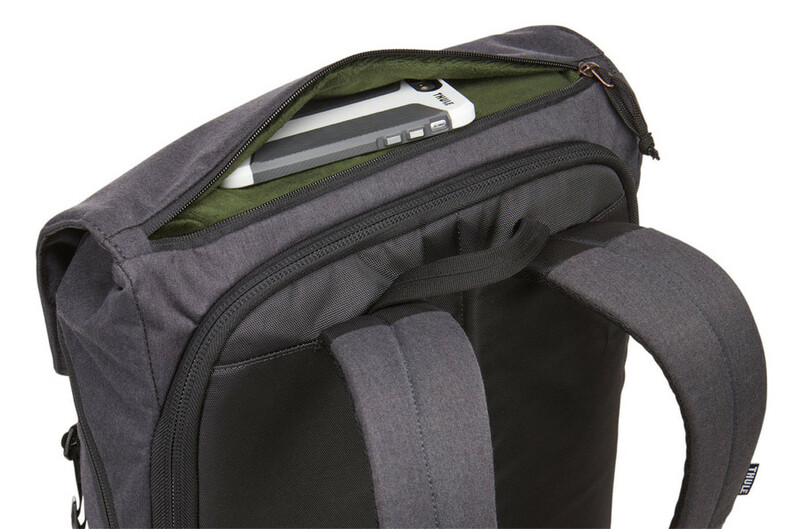 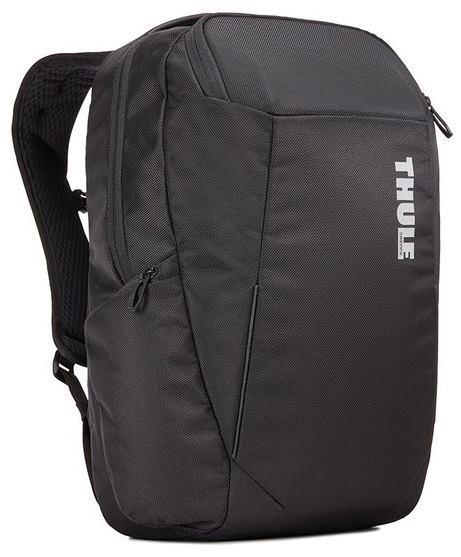 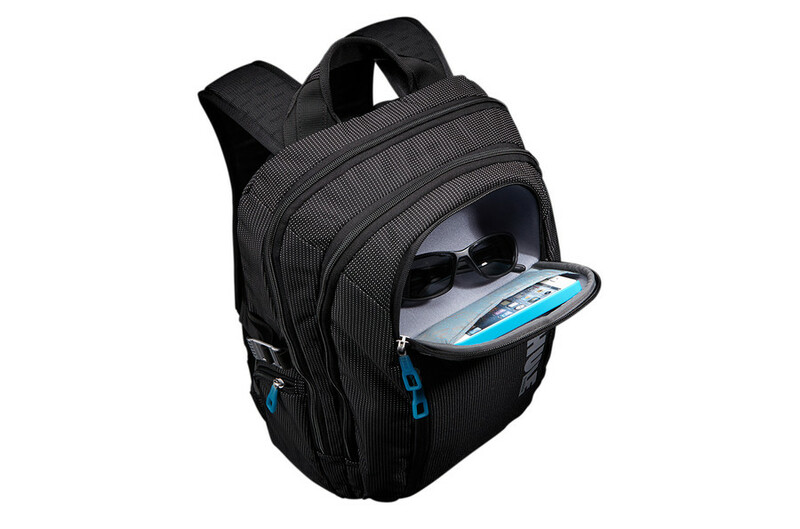 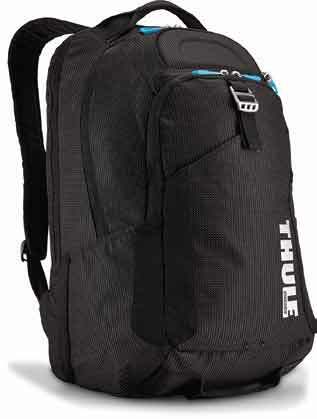 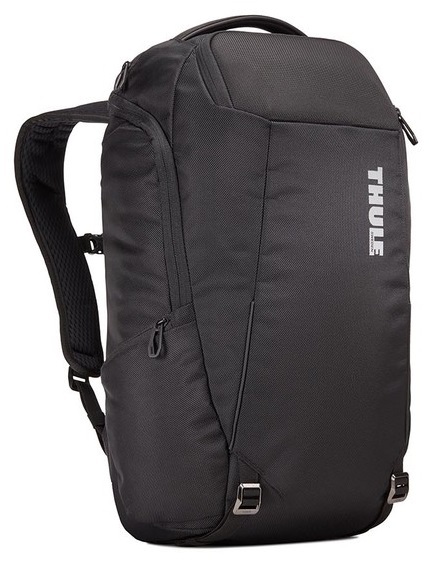 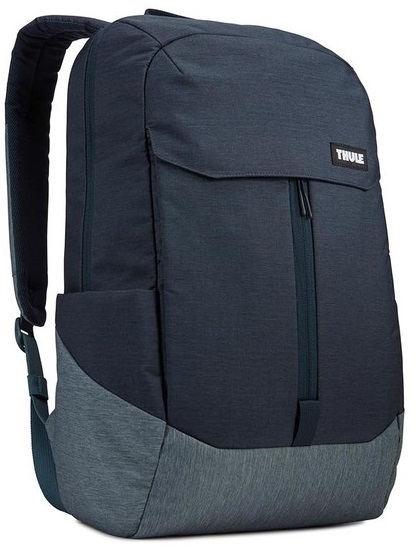 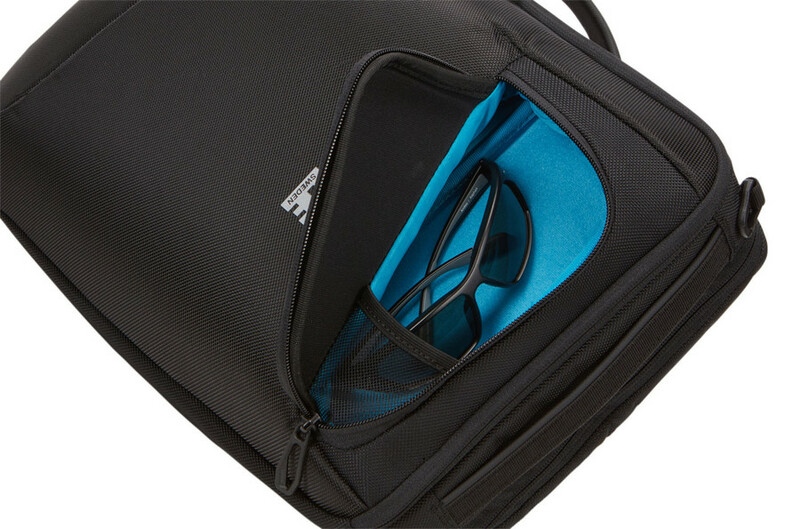 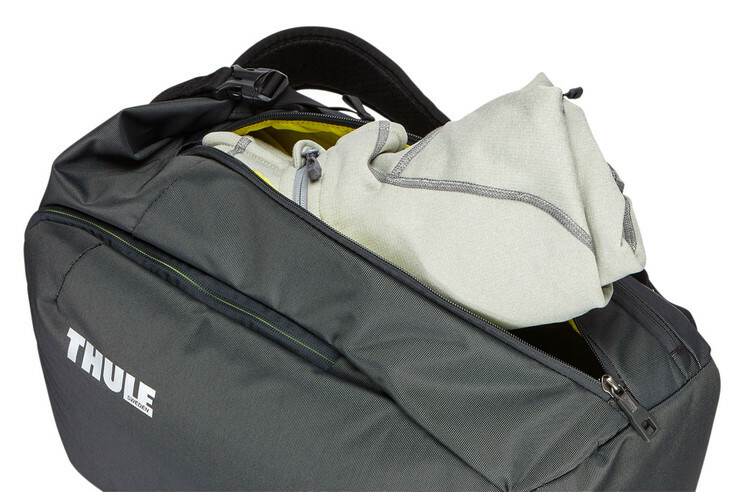 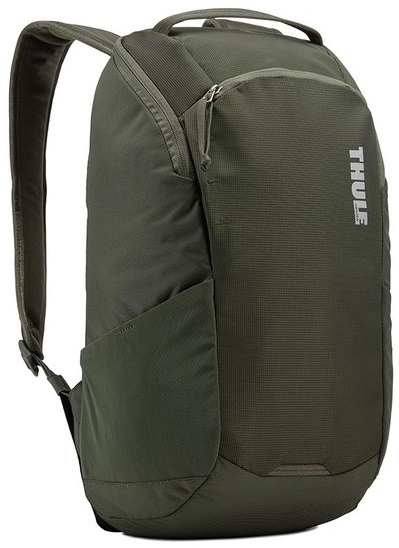 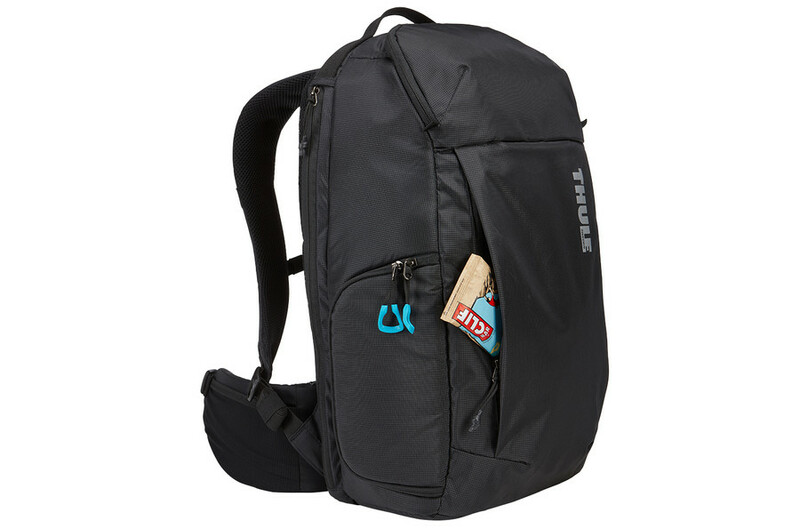 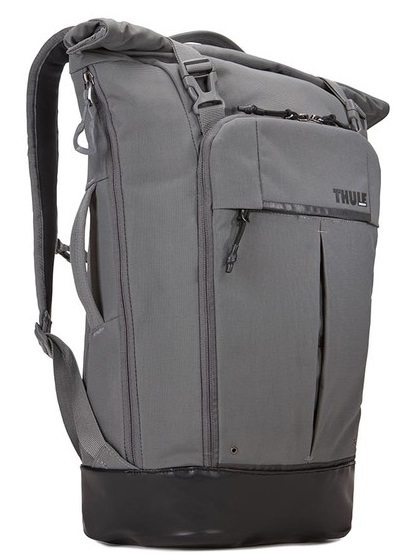 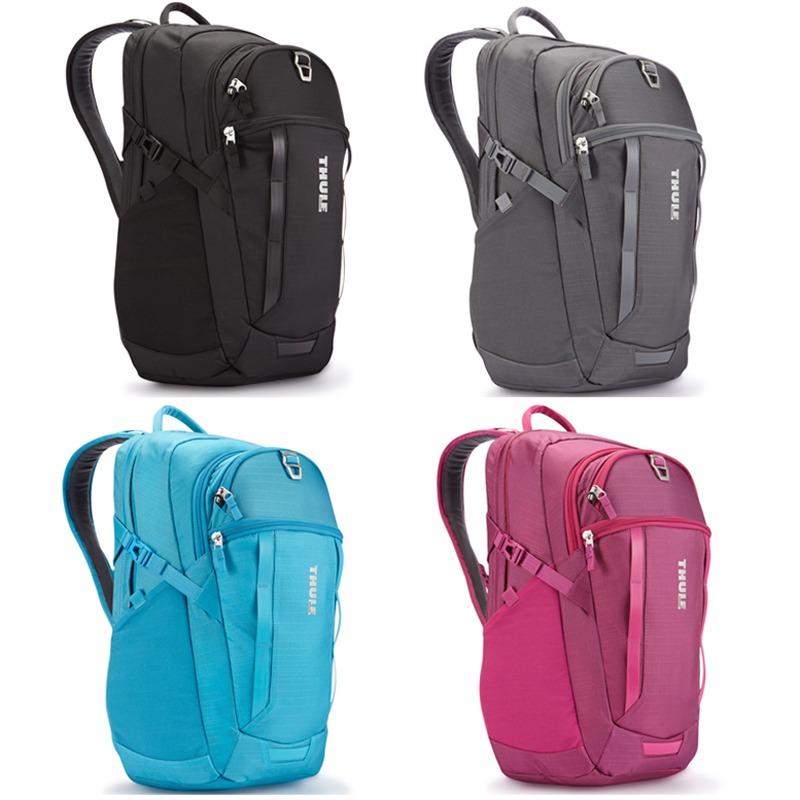 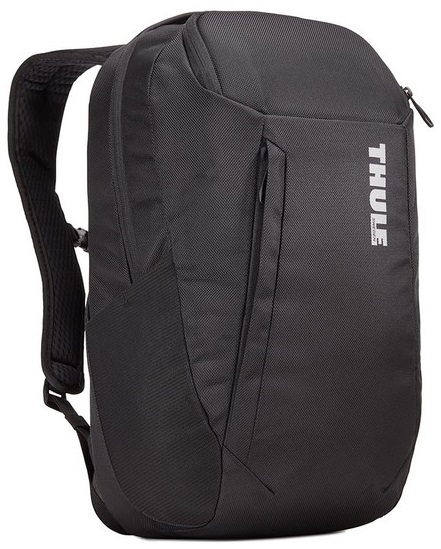 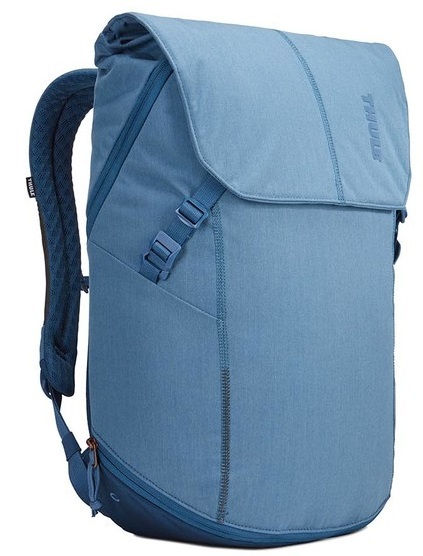 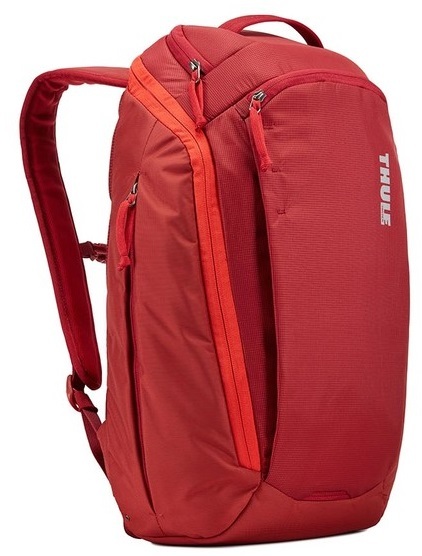 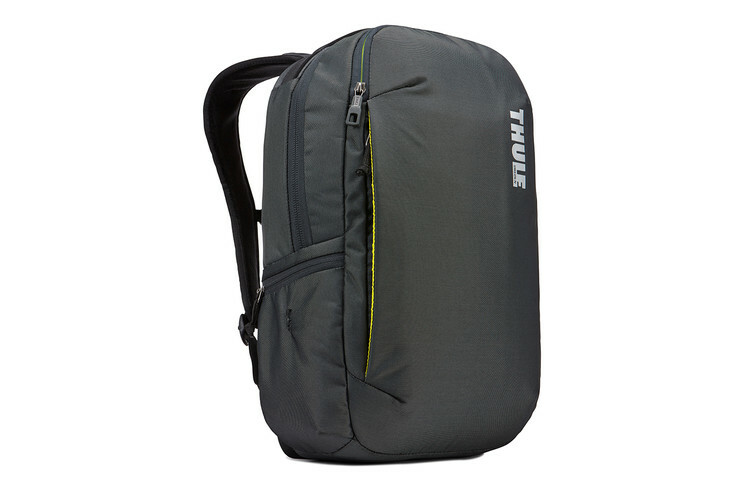 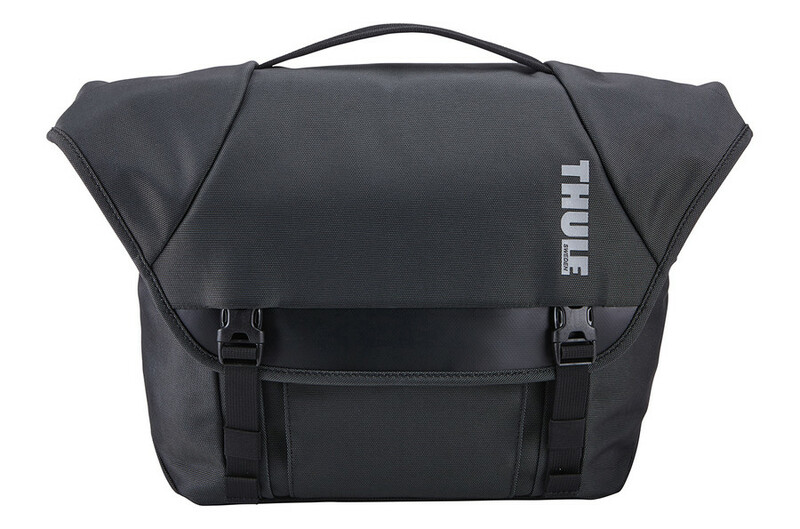 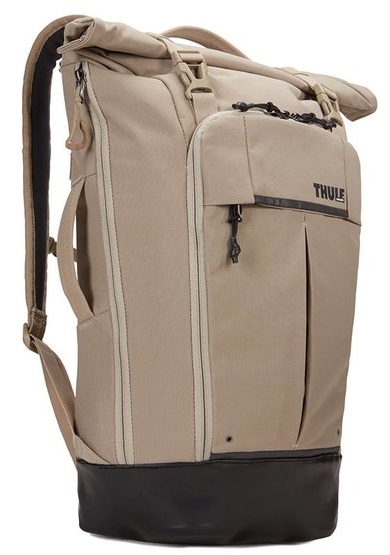 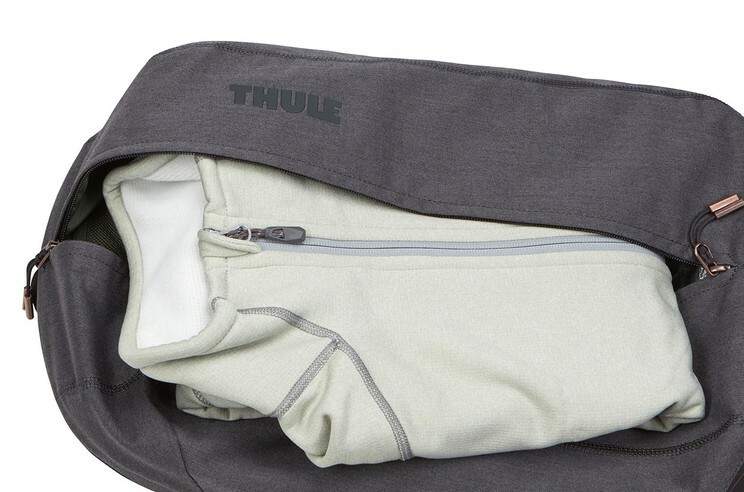 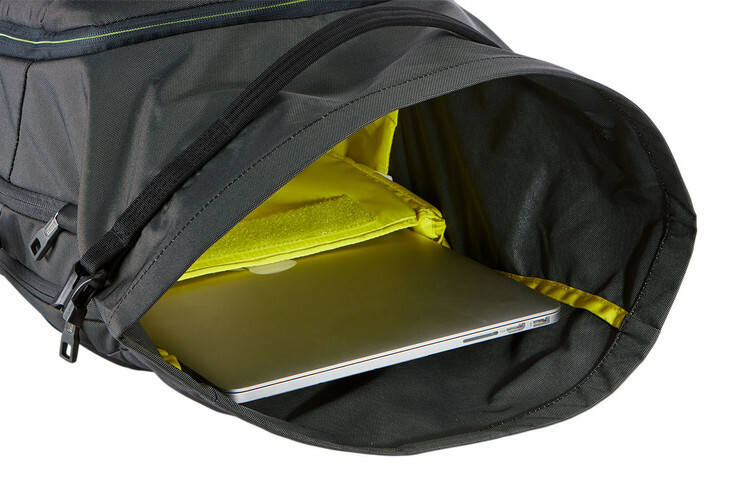 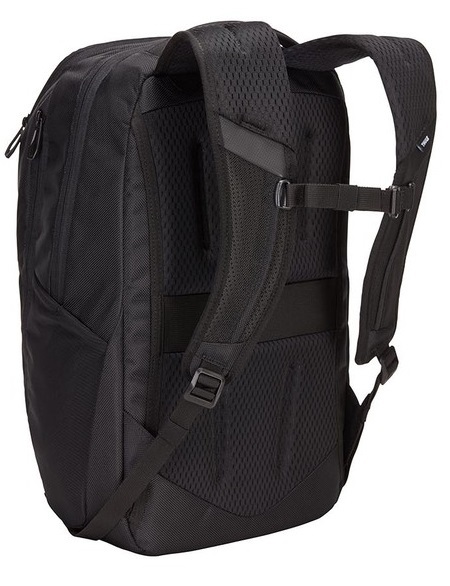 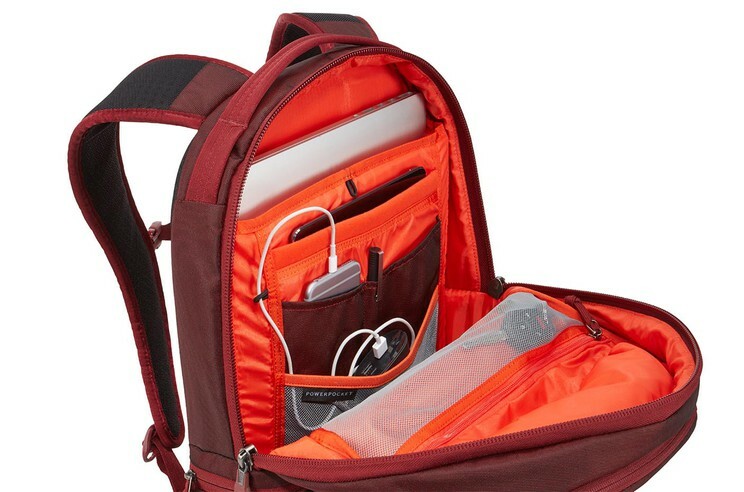 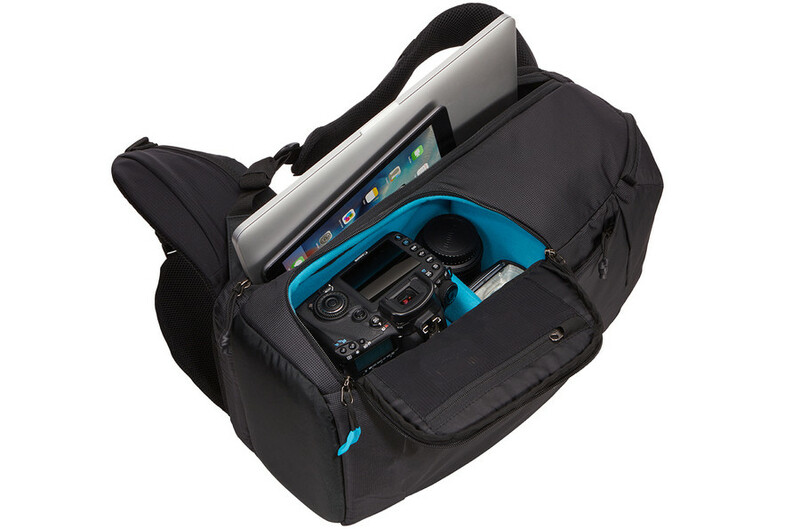 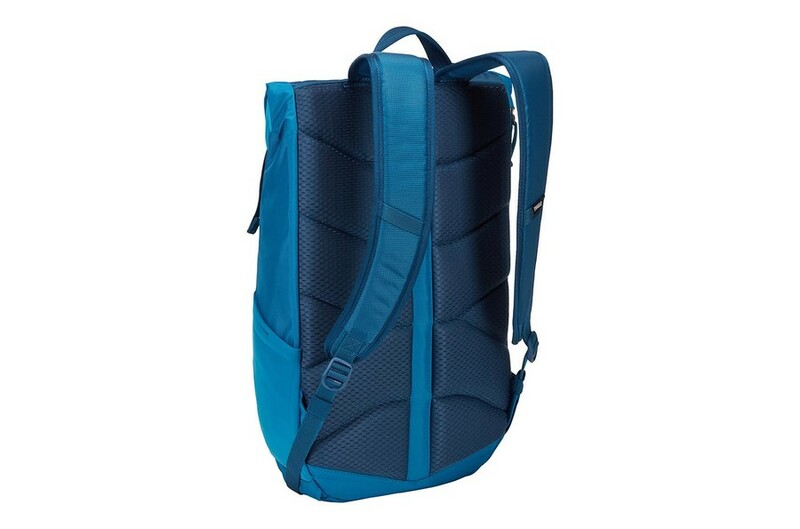 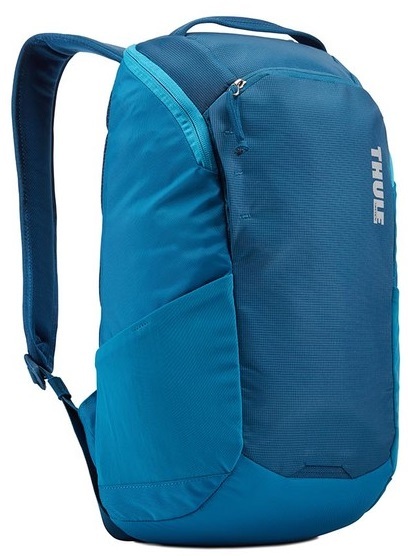 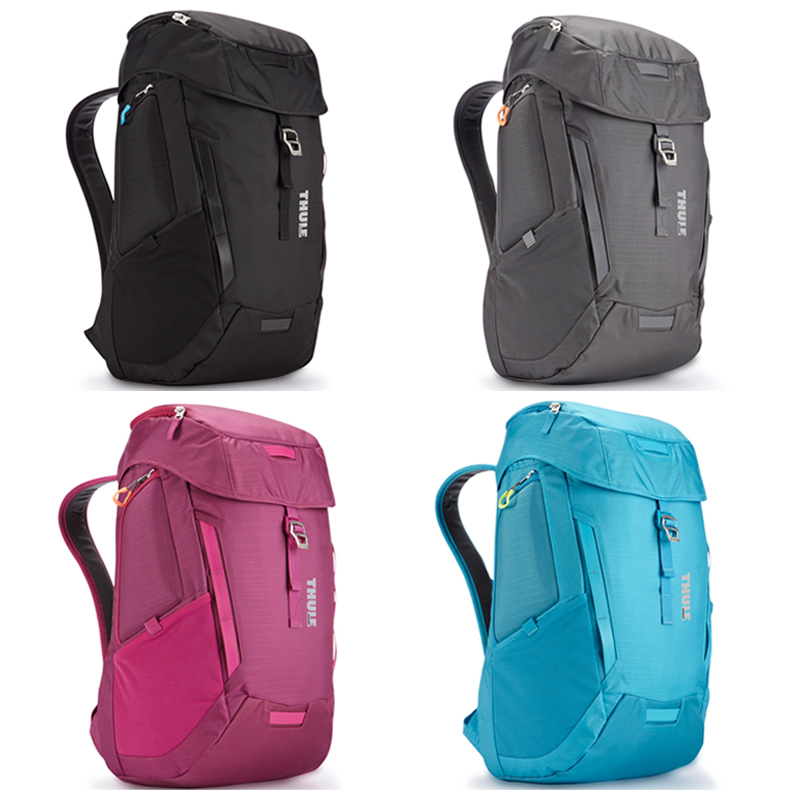 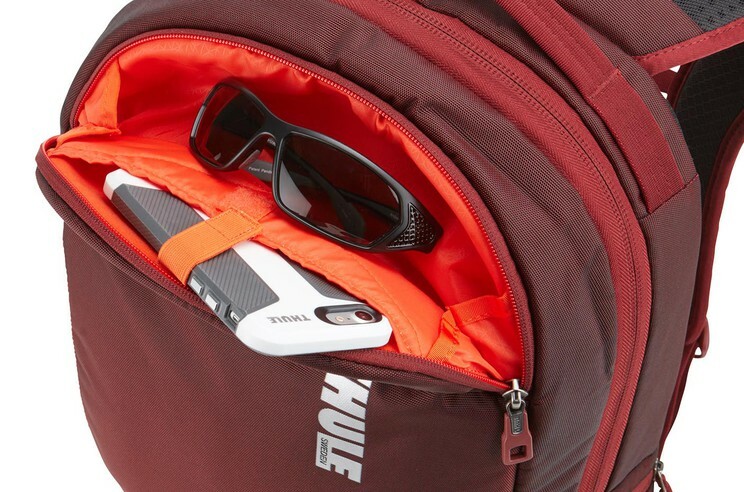 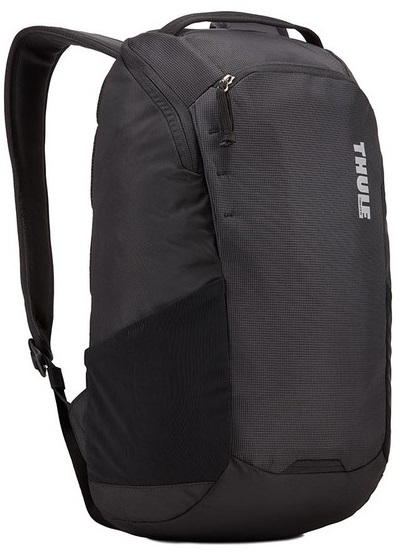 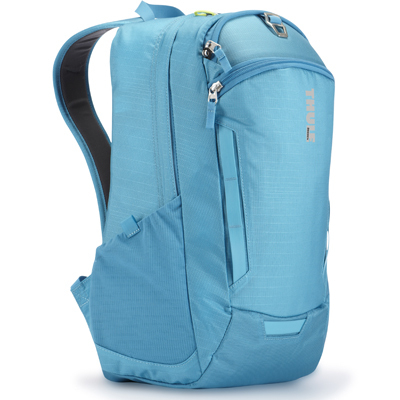 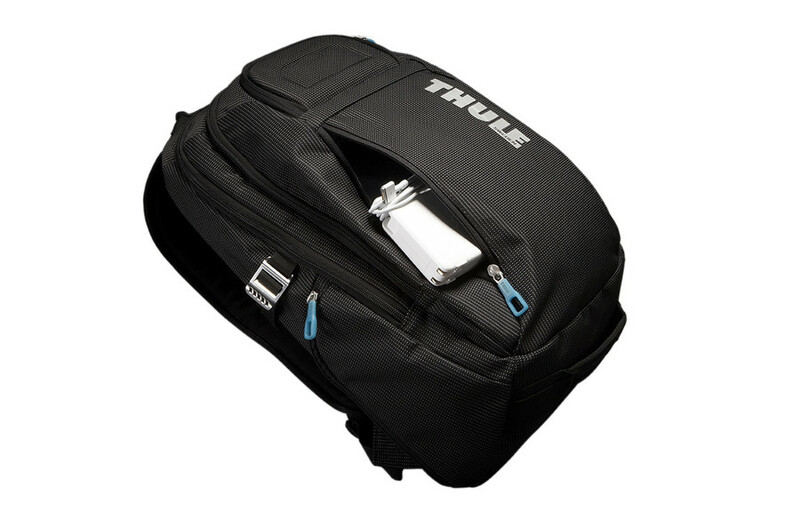 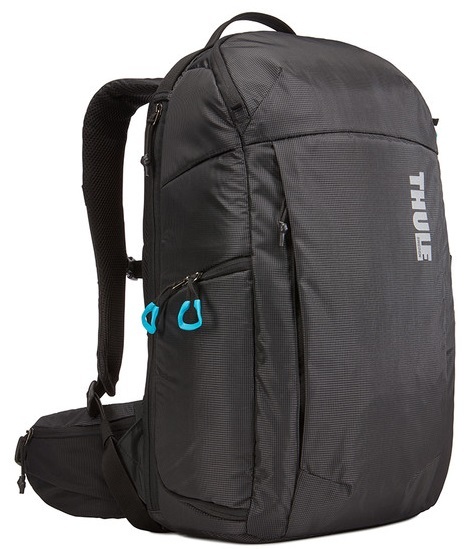 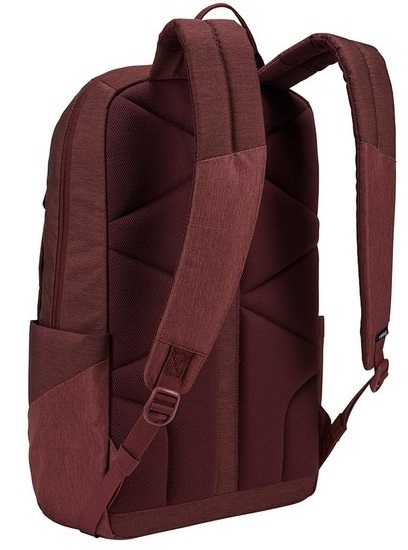 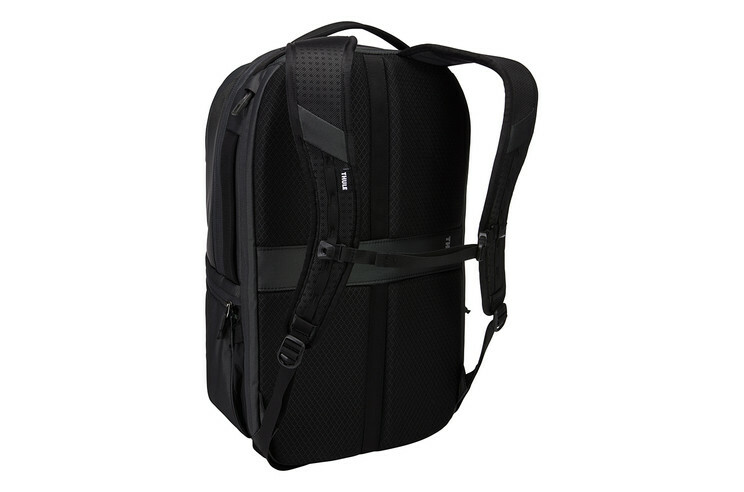 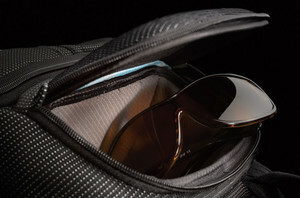 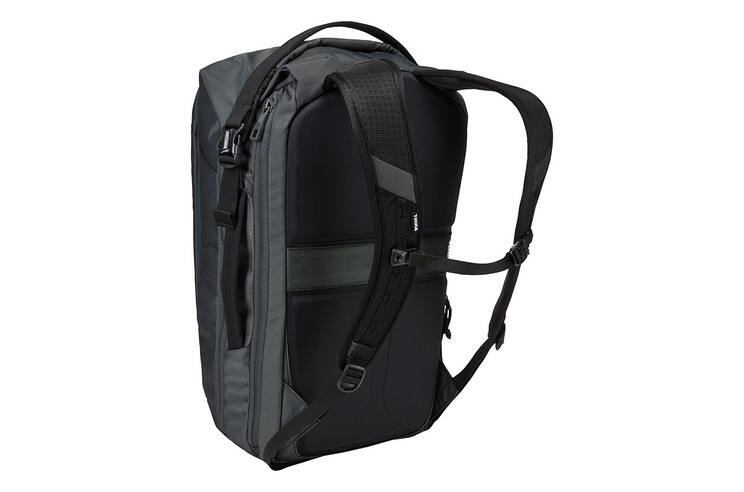 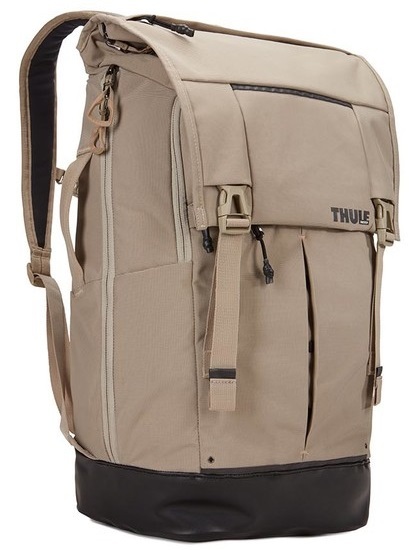 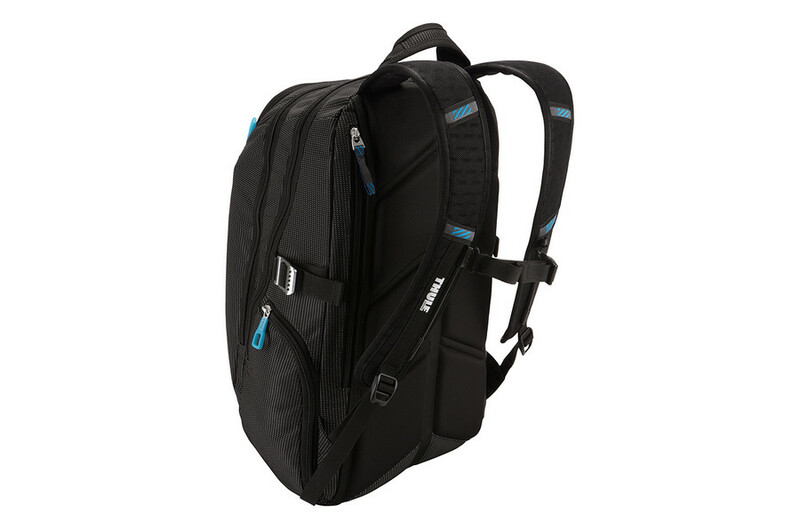 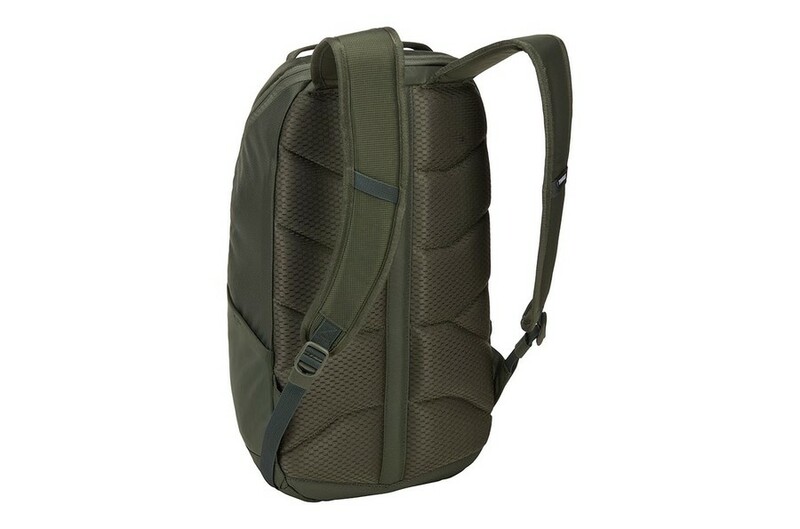 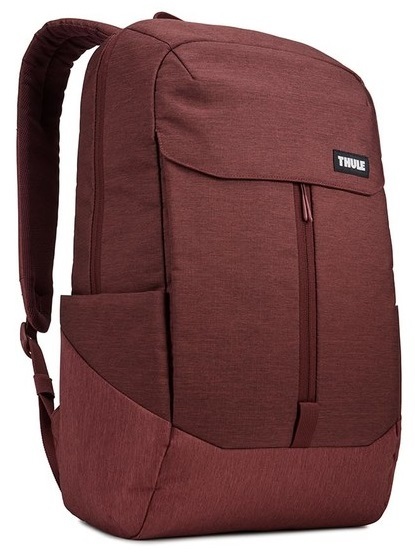 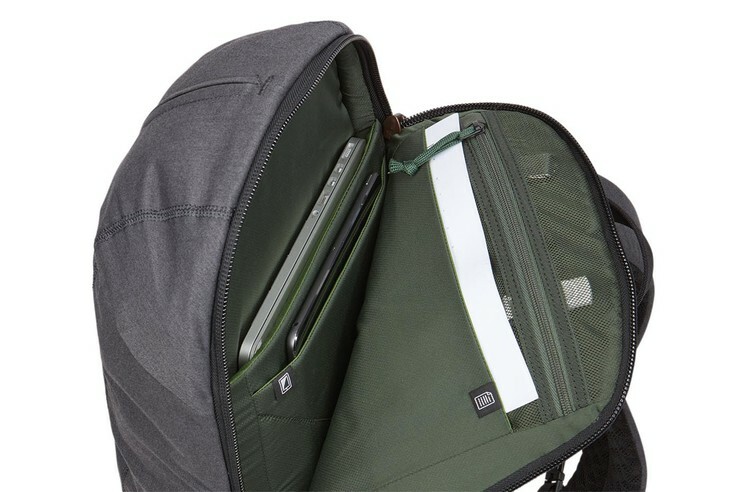 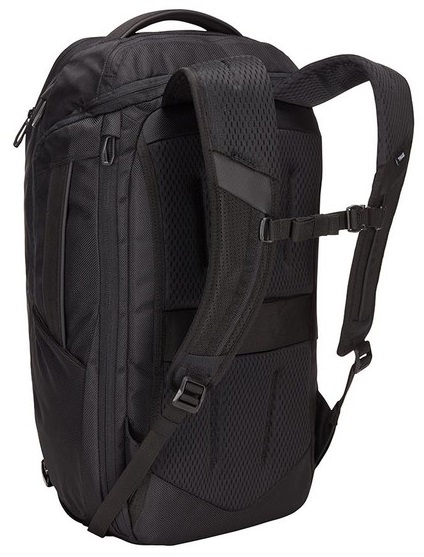 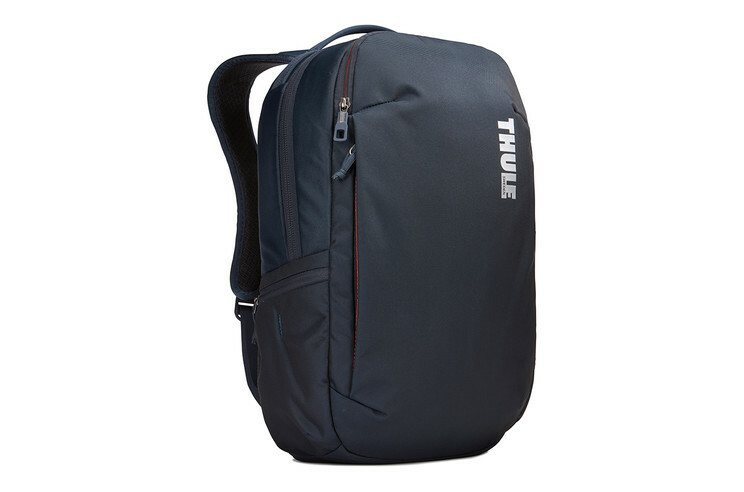 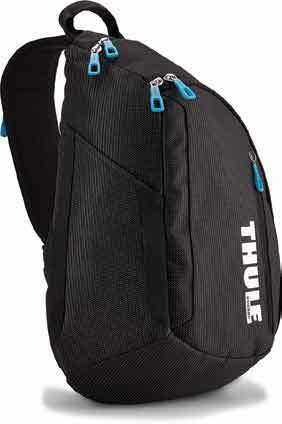 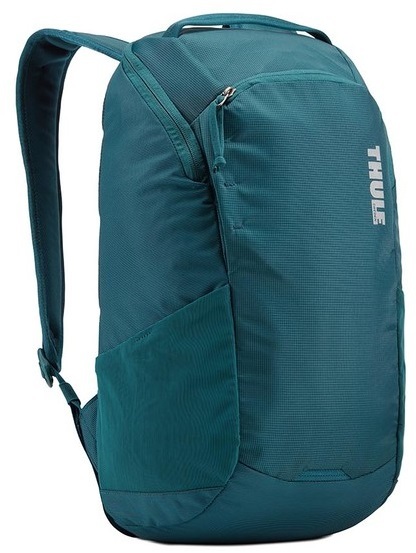 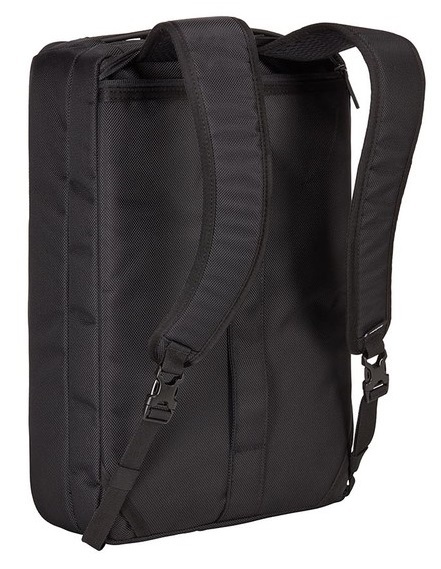 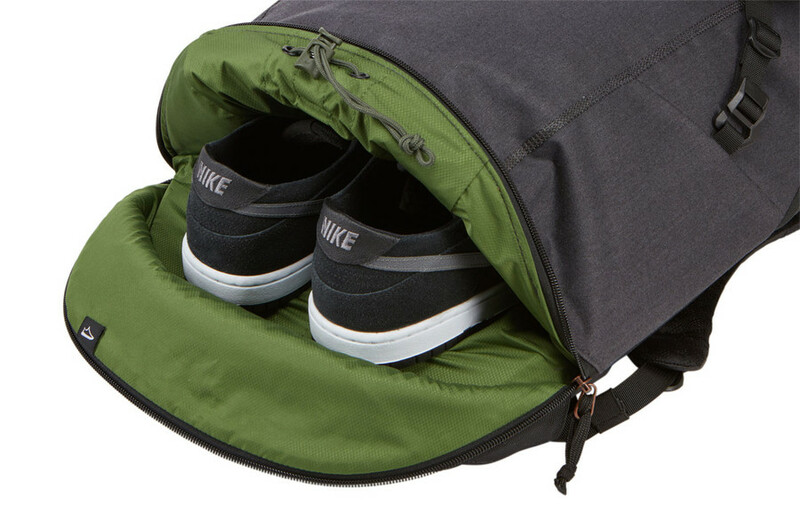 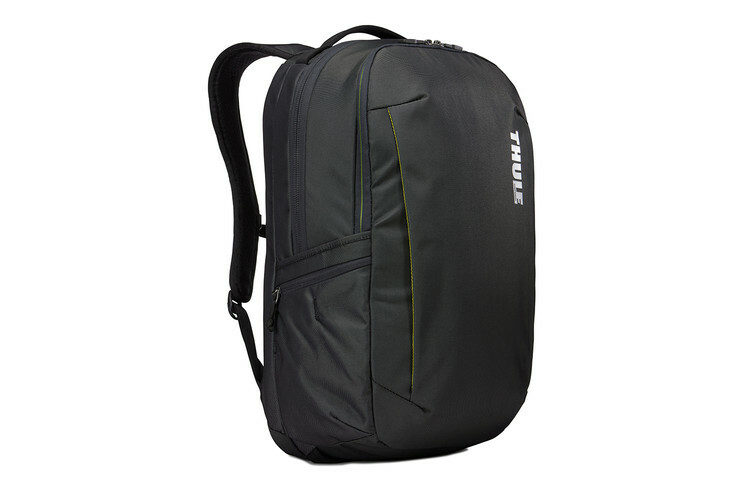 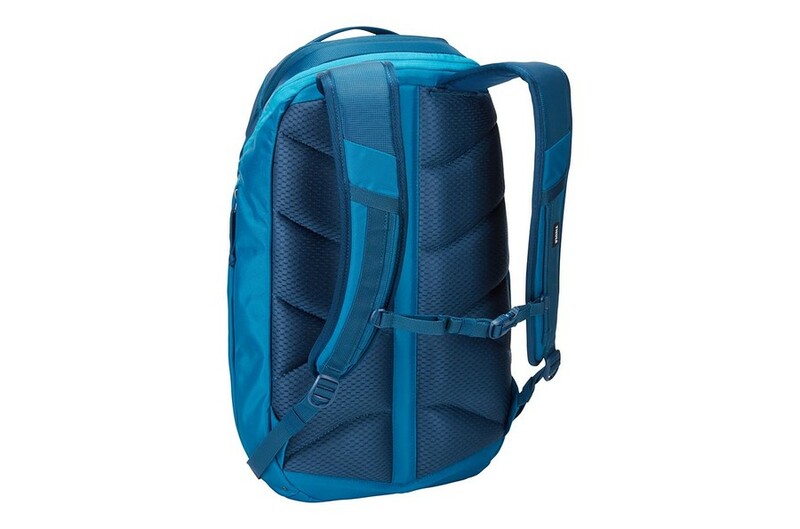 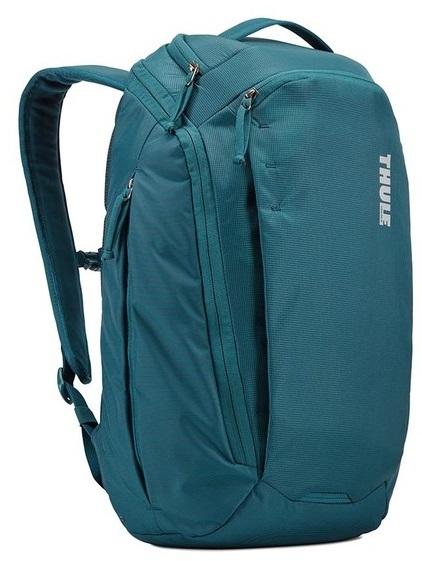 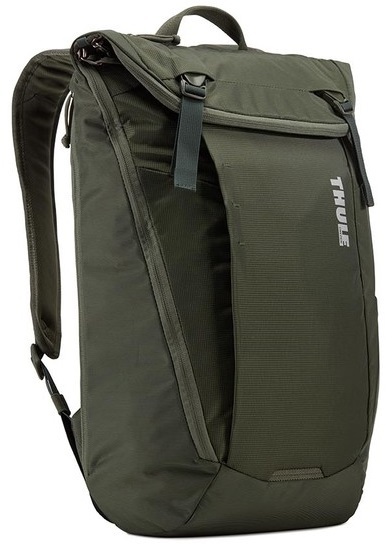 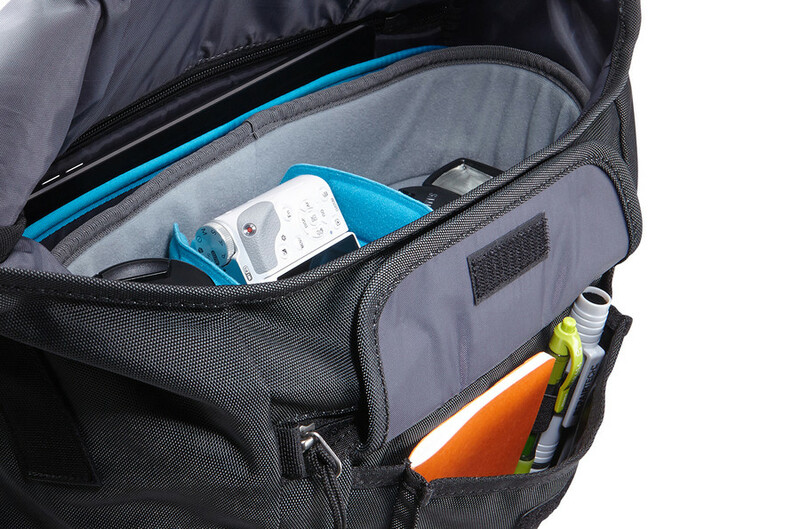 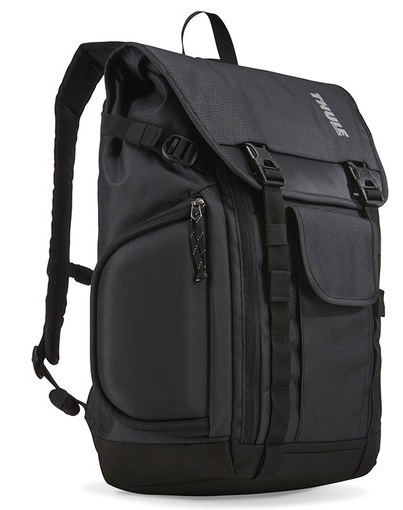 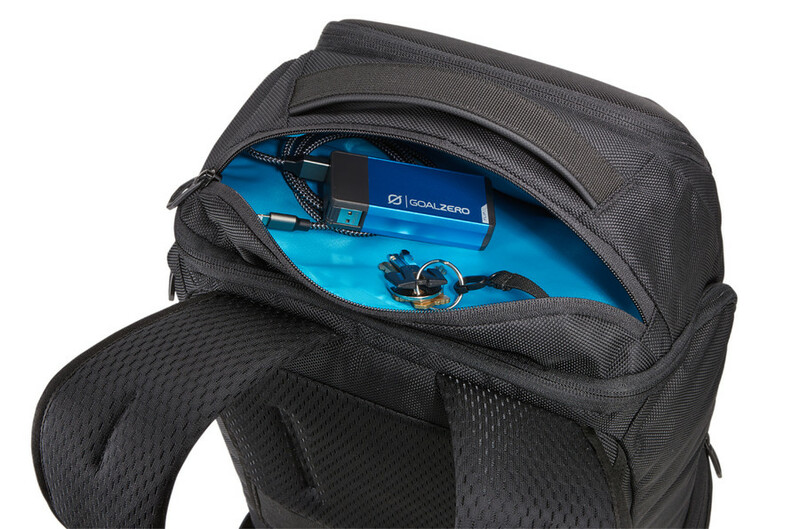 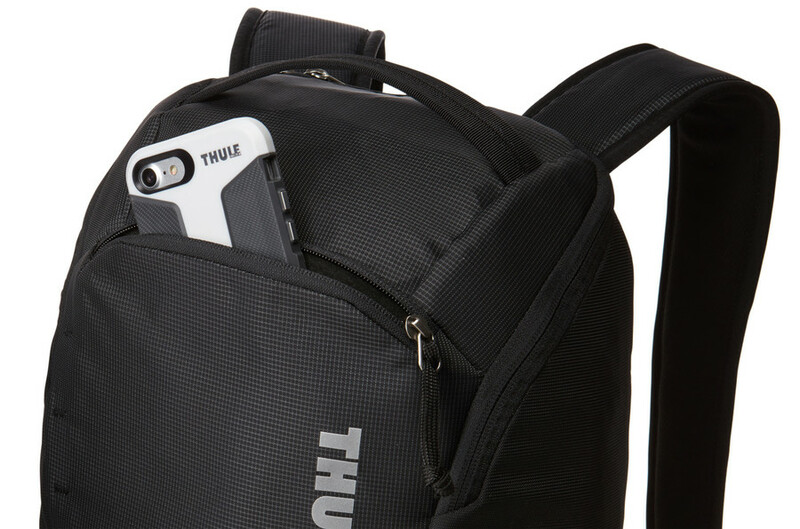 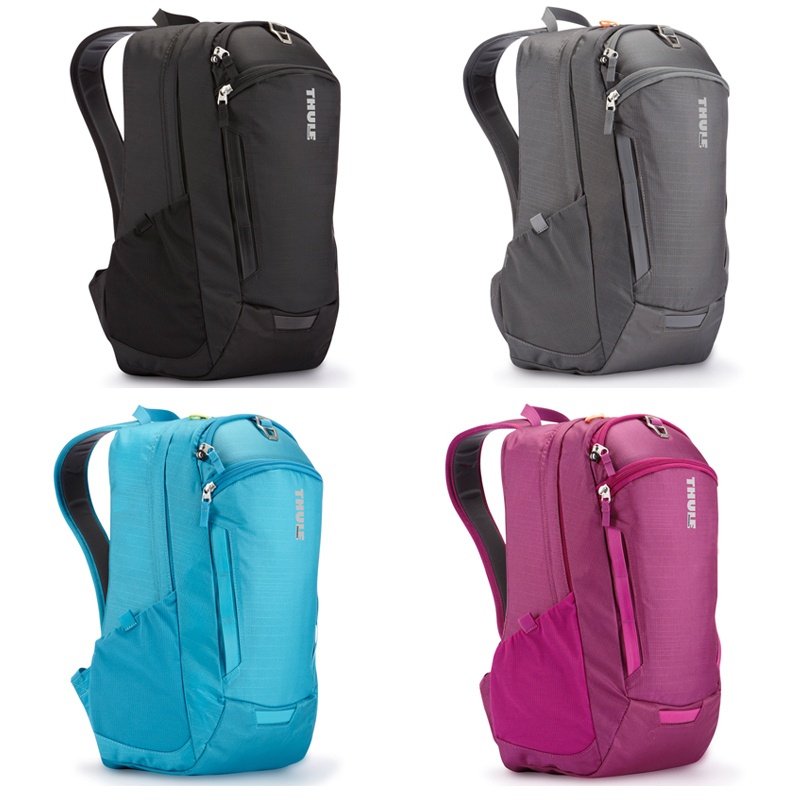 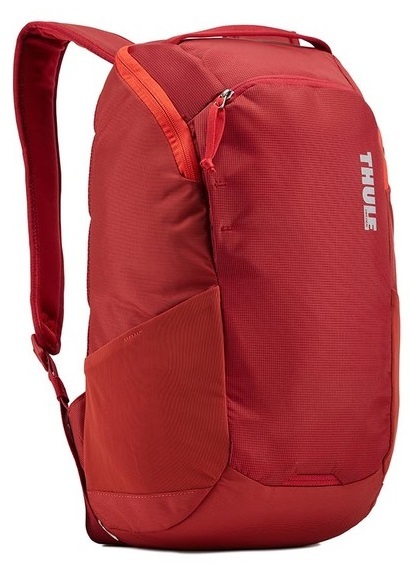 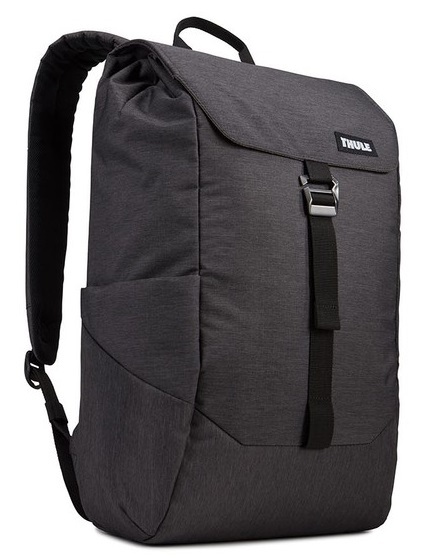 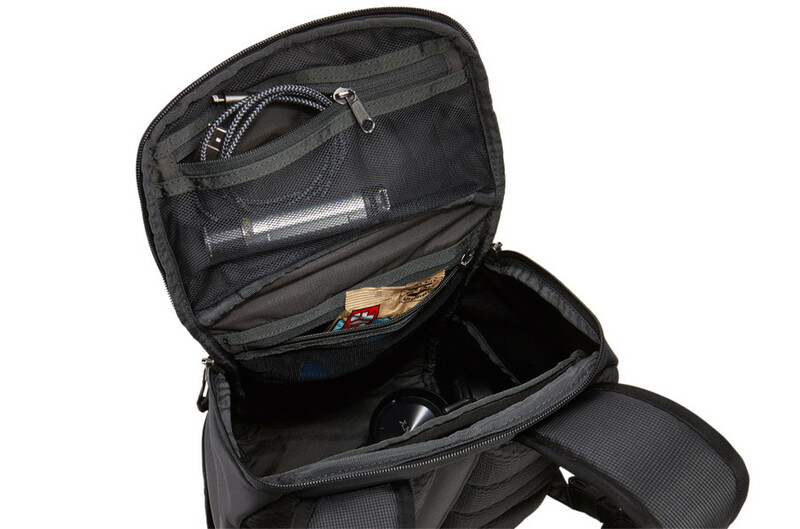 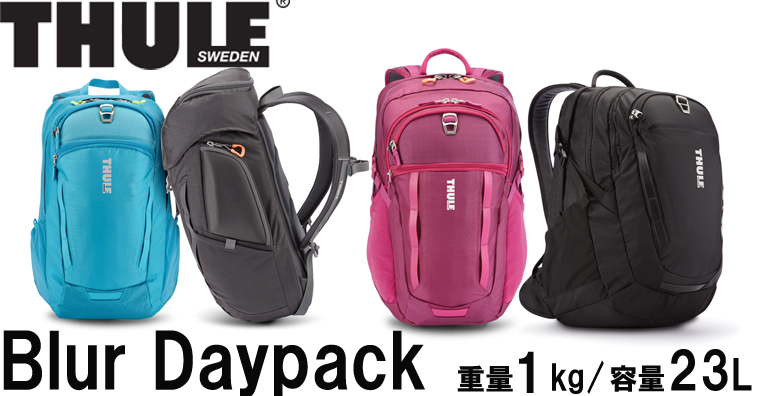 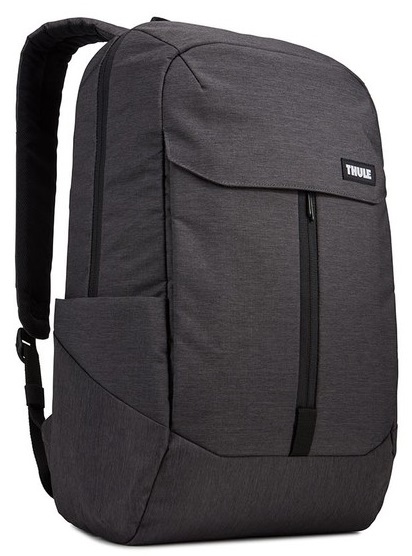 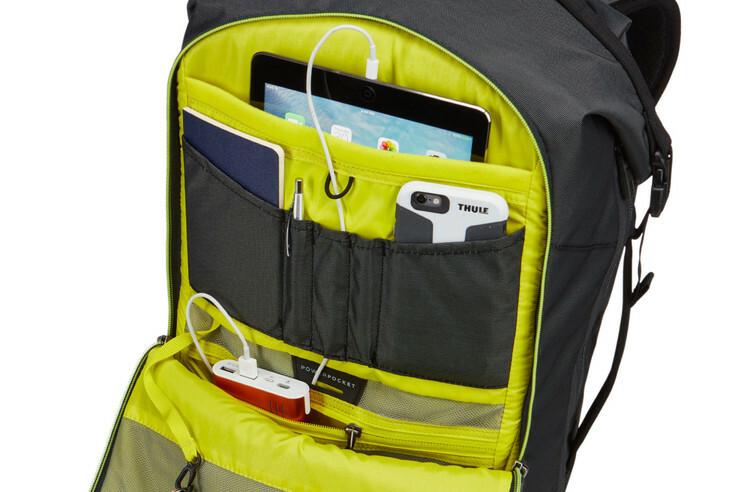 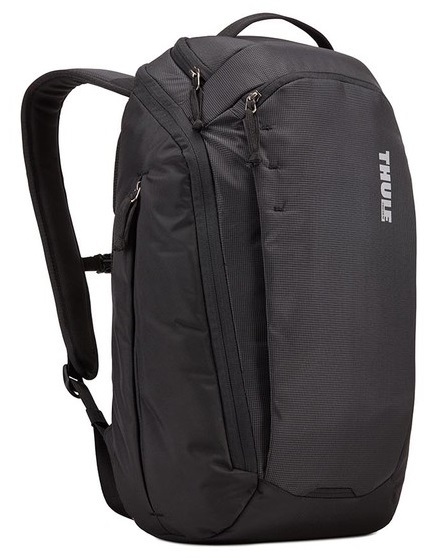 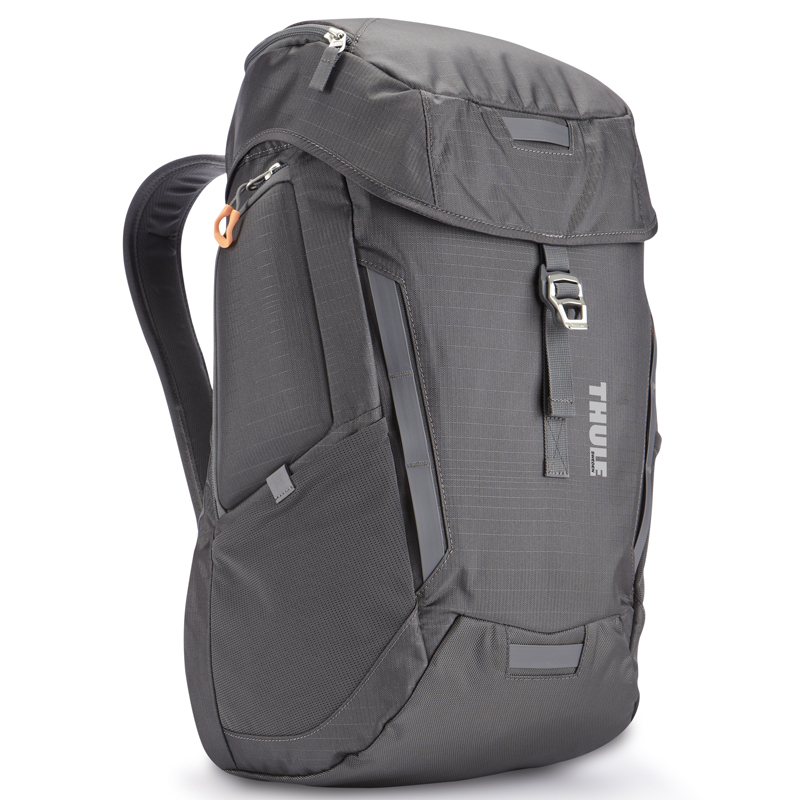 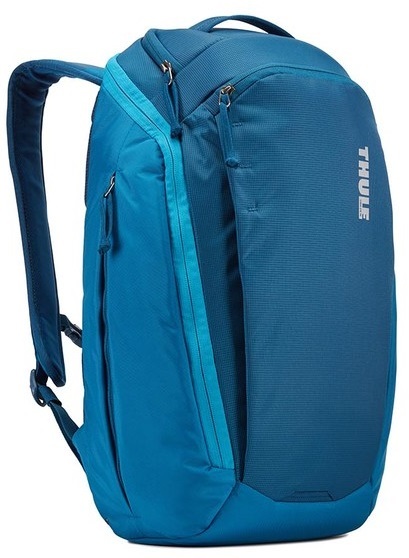 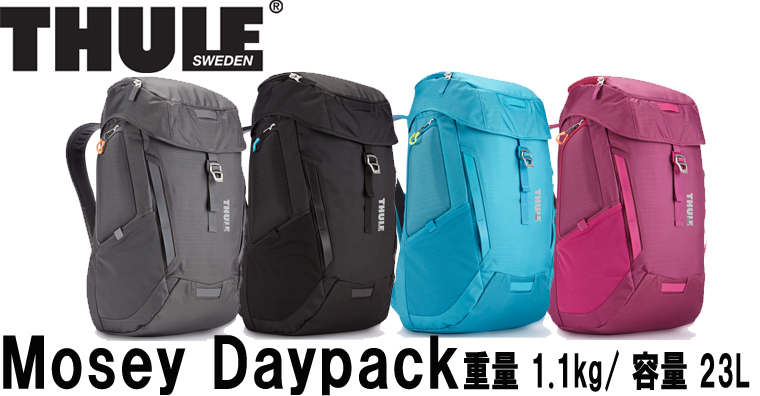 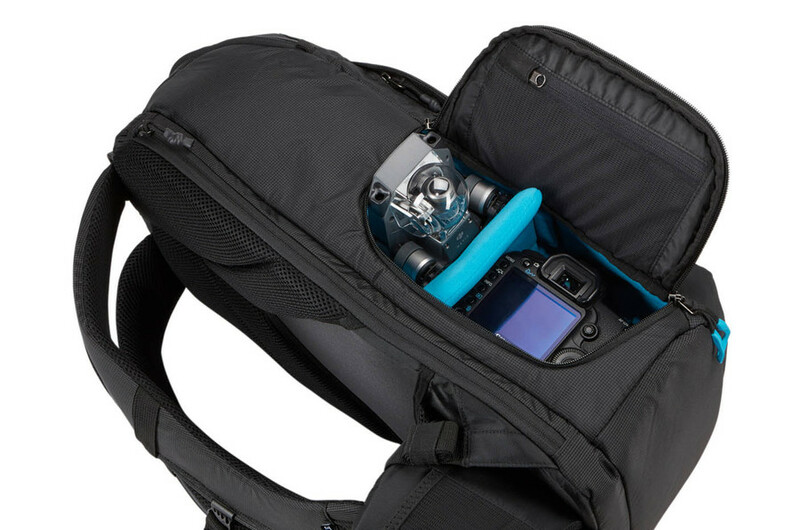 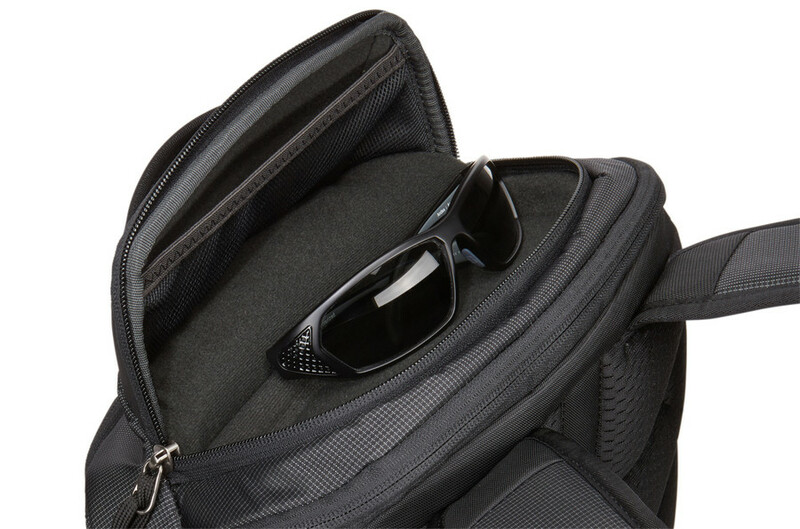 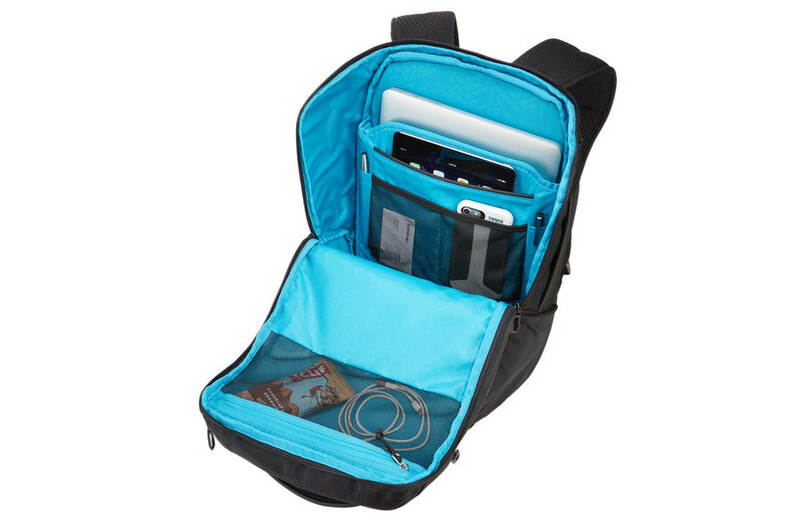 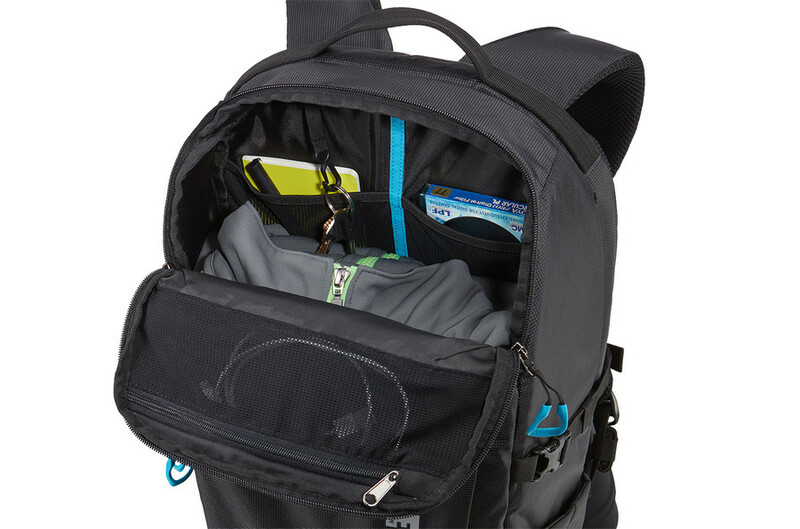 1 Padded, zippered compartment with dedicated storage for a 15"
gear through asymmetrical zippered pockets. 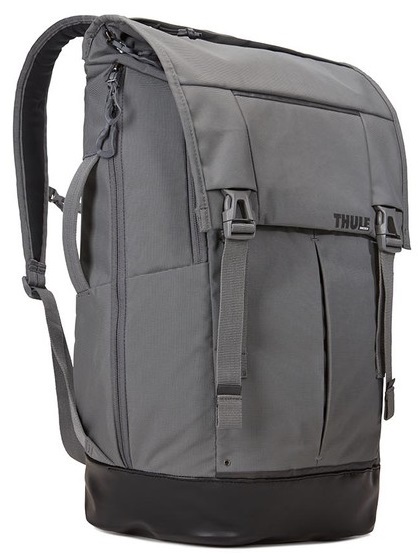 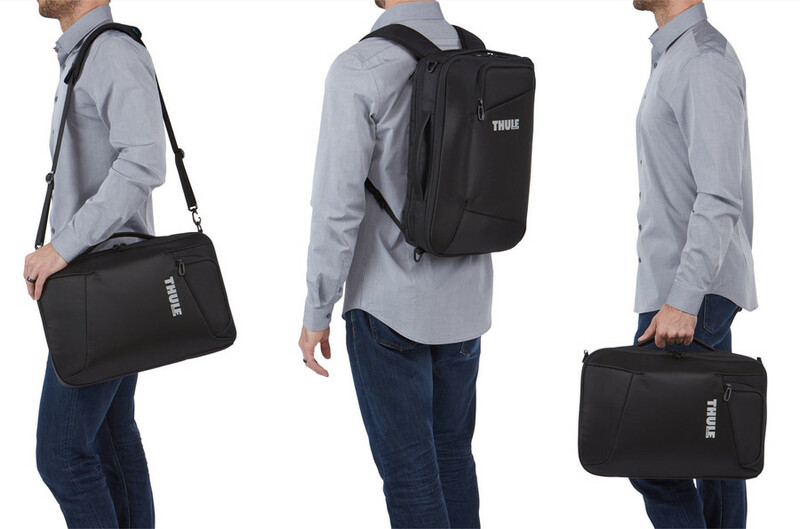 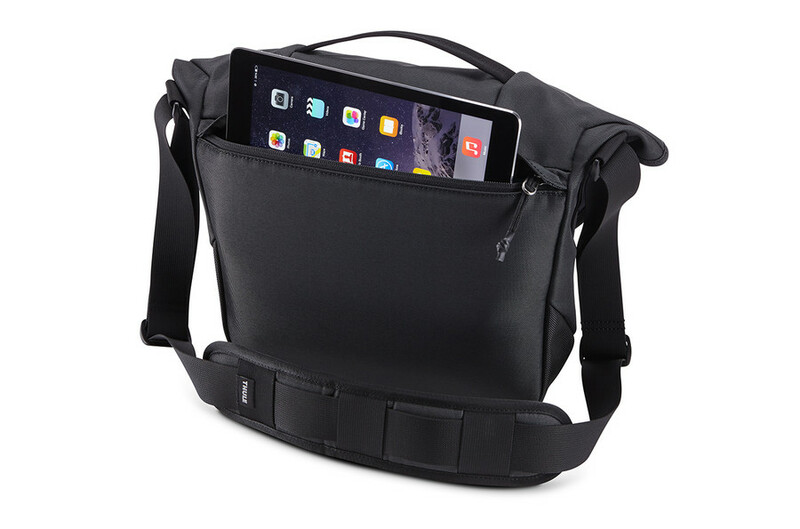 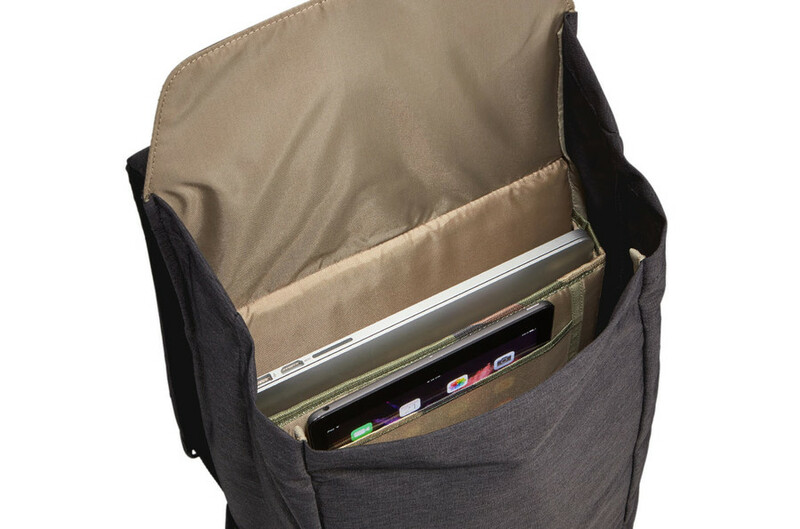 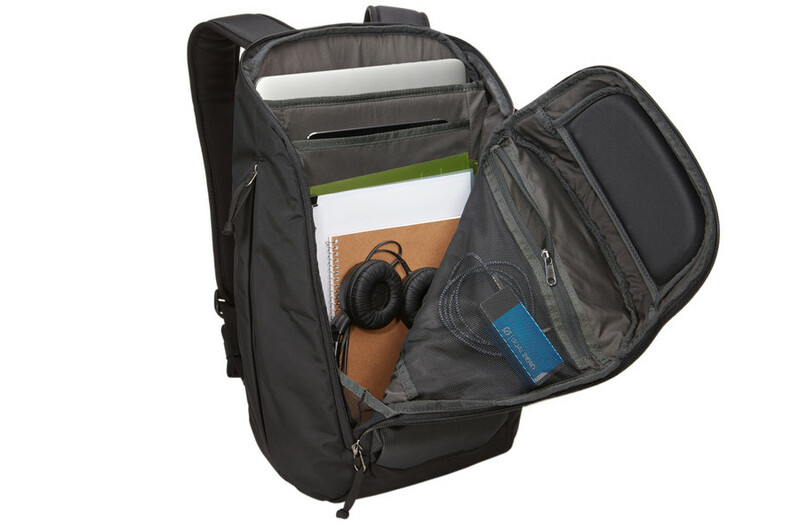 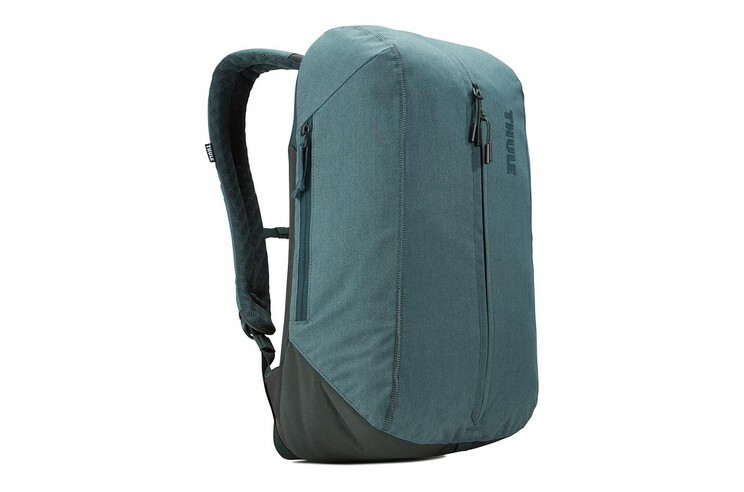 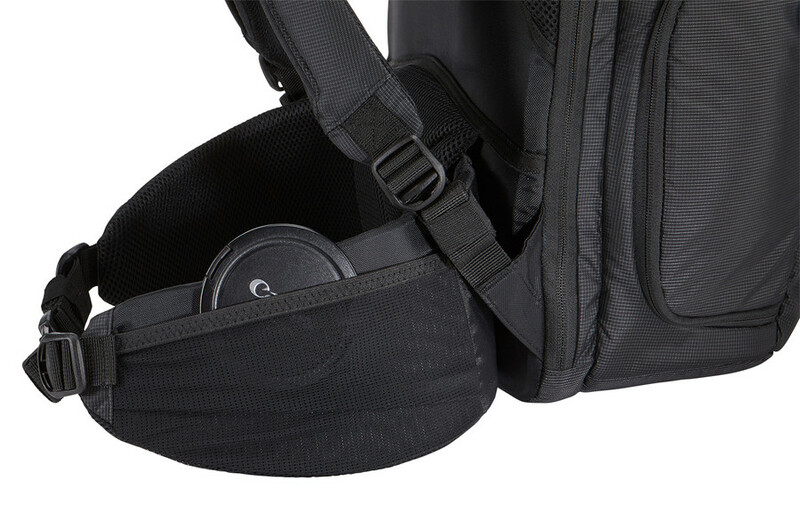 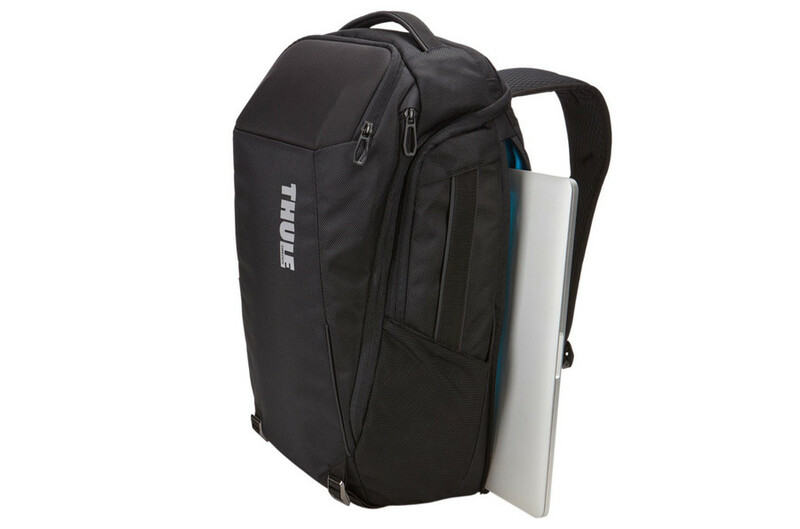 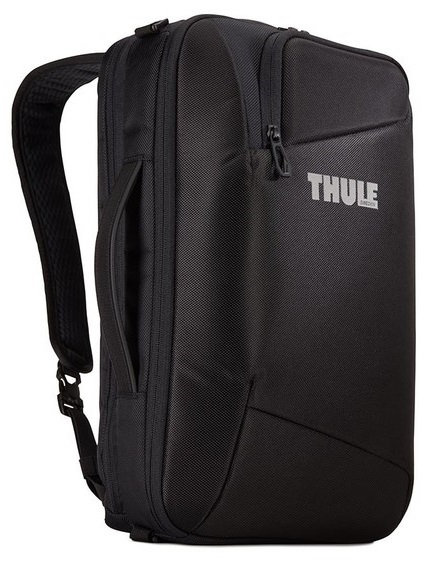 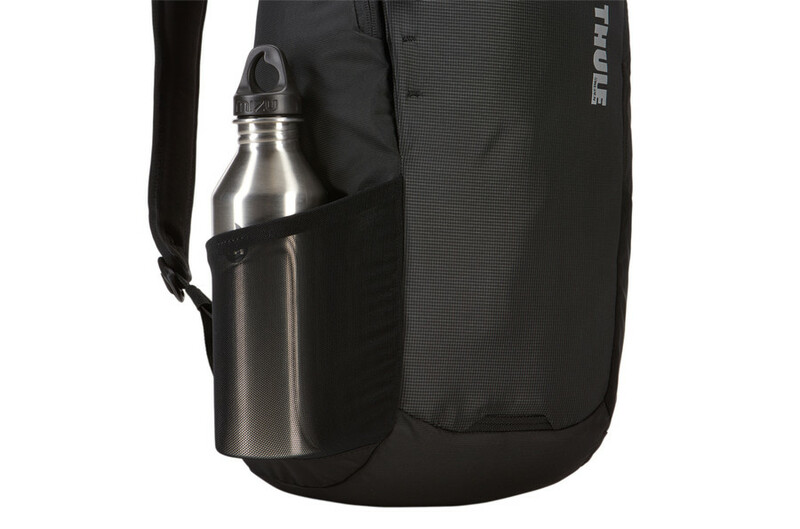 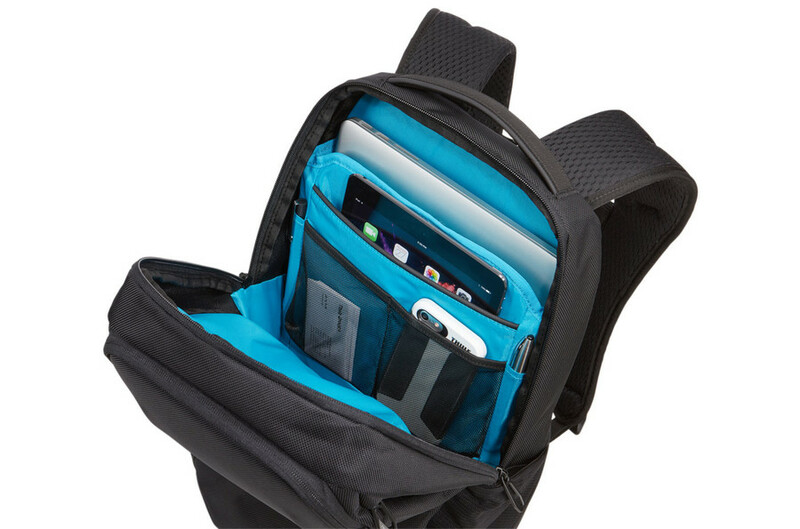 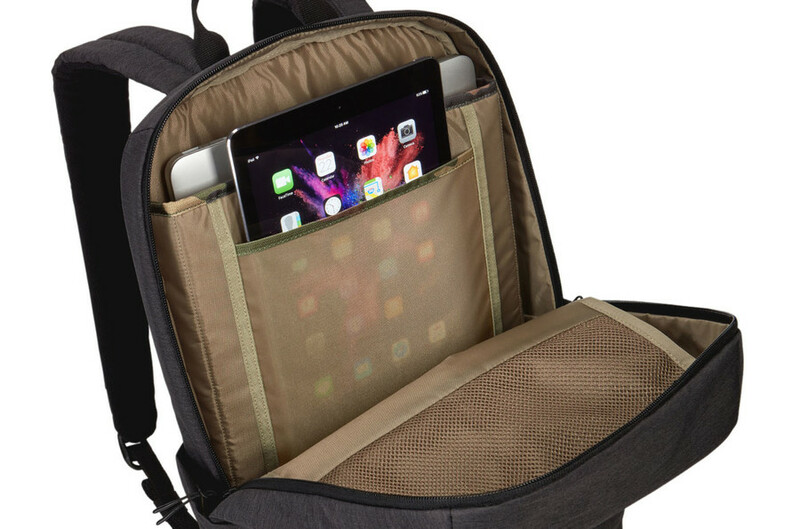 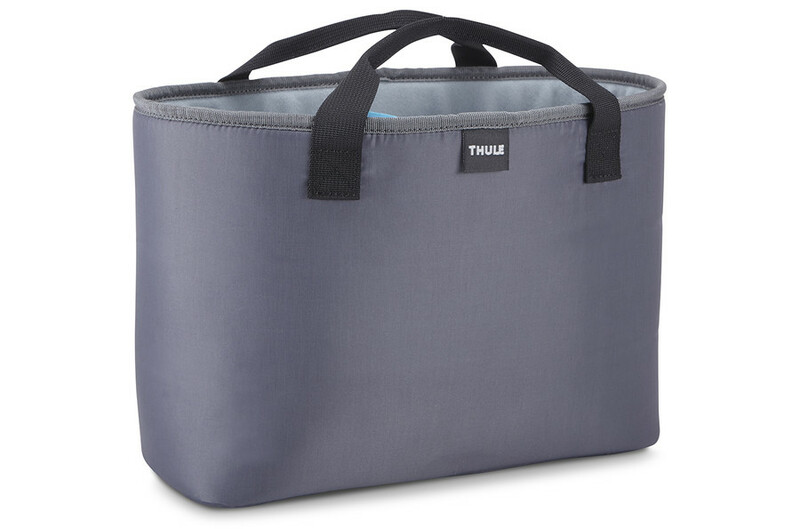 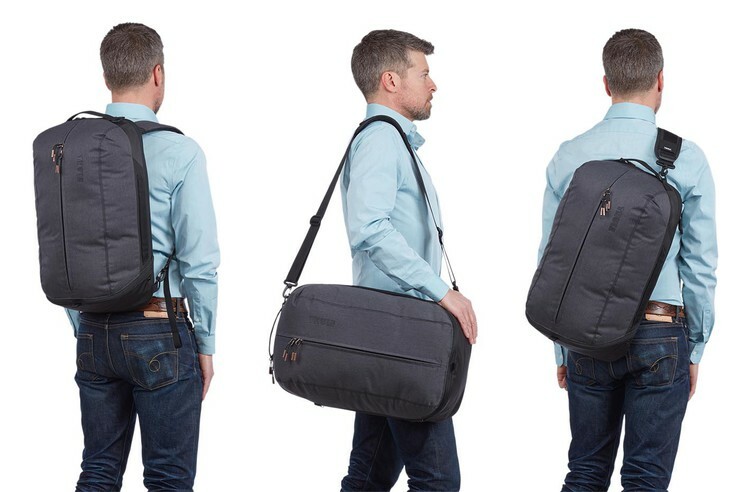 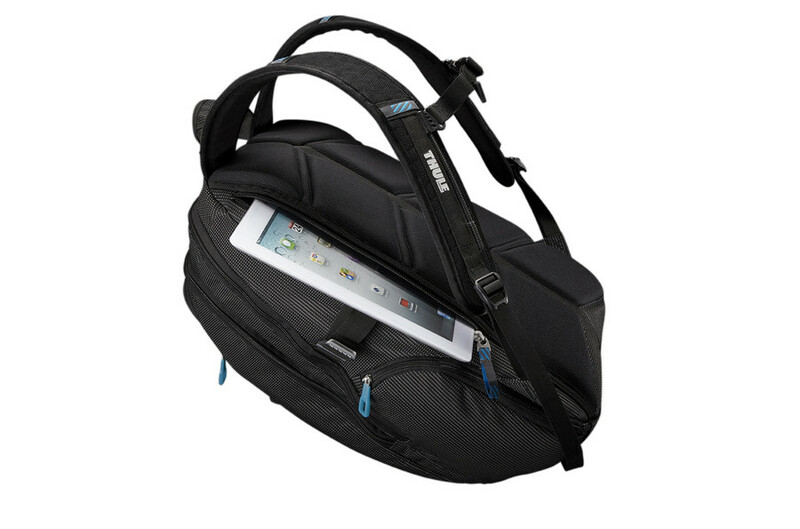 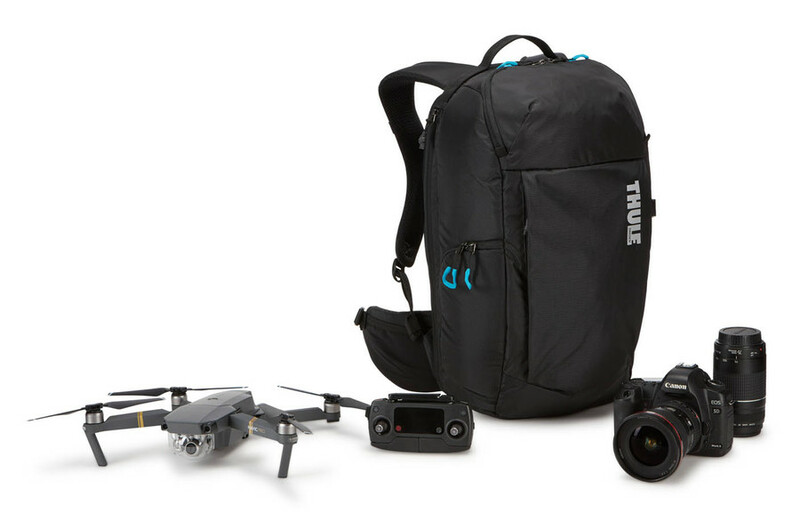 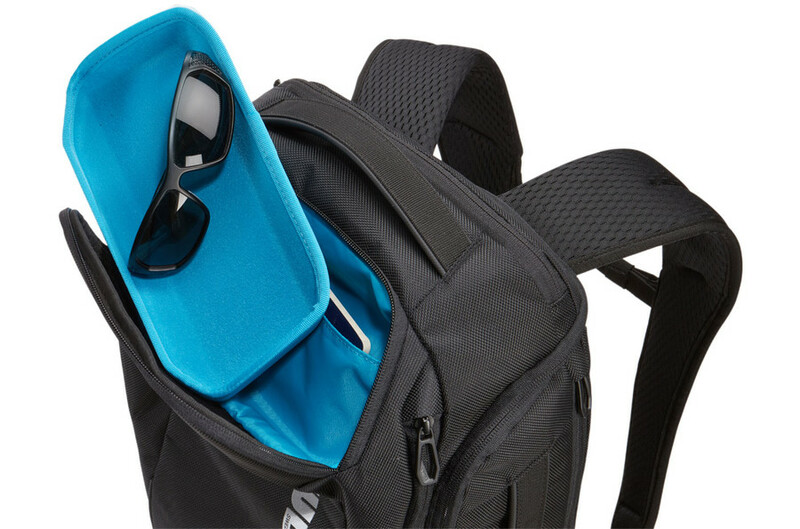 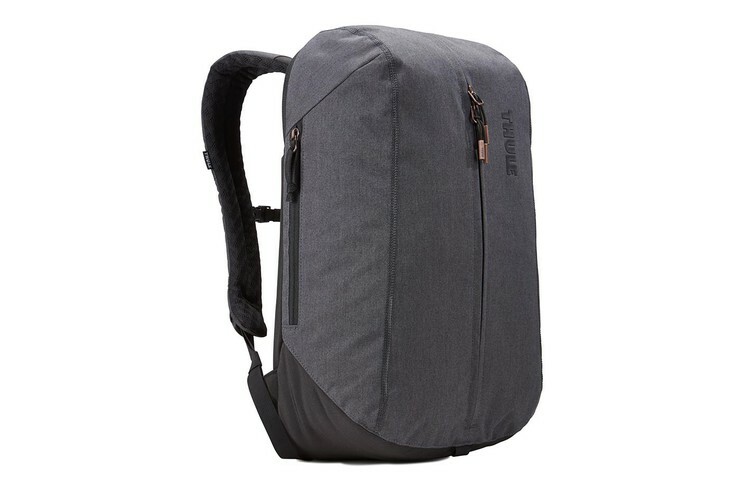 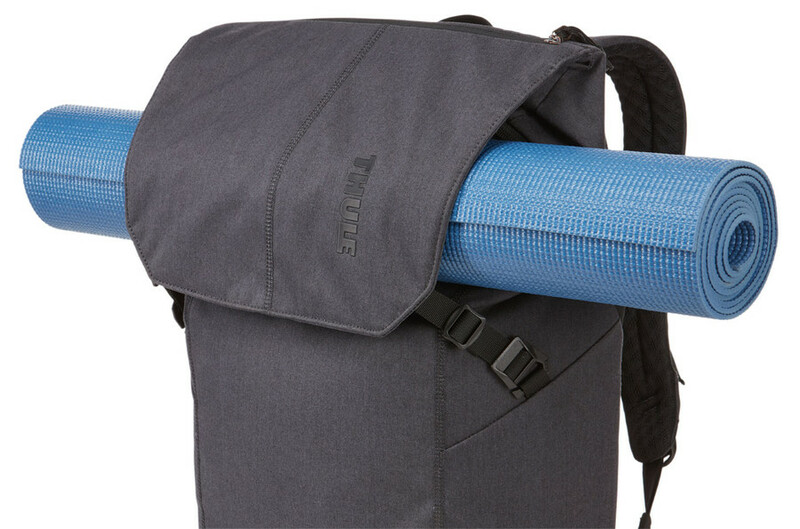 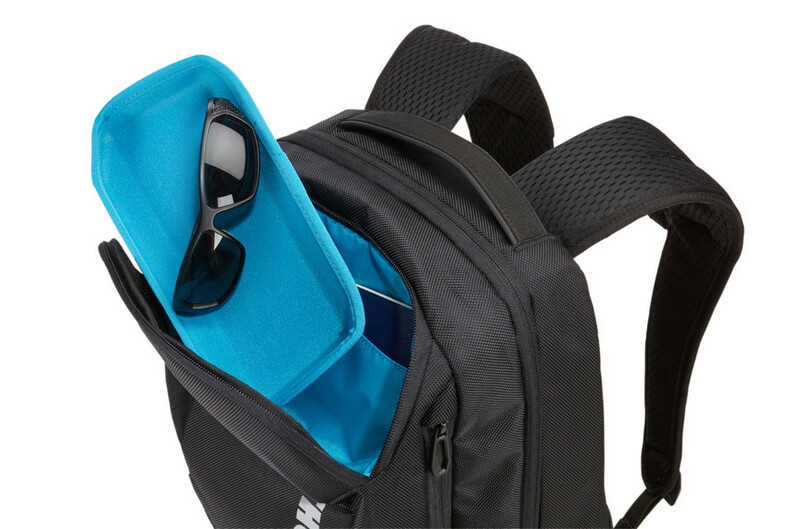 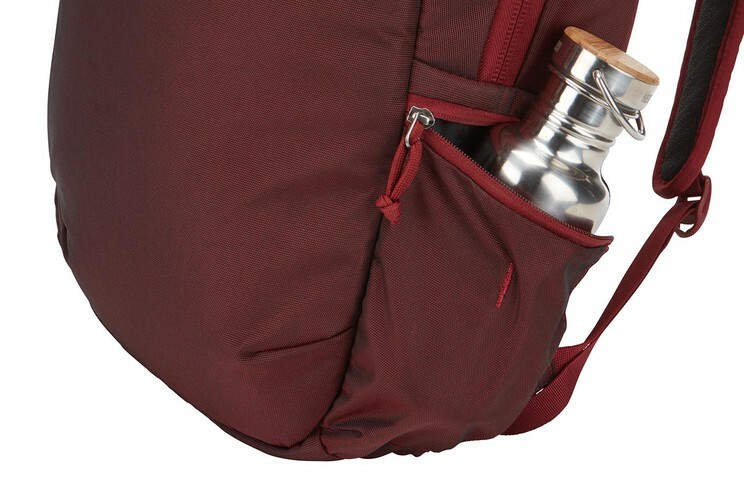 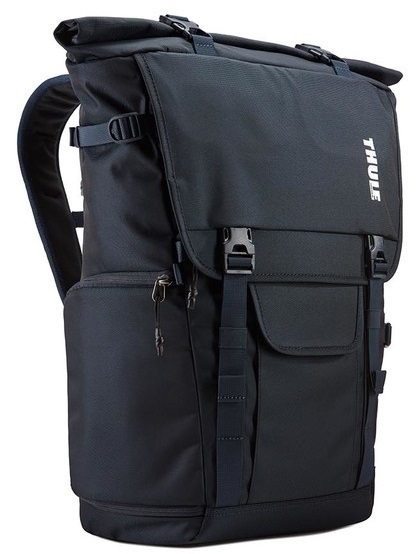 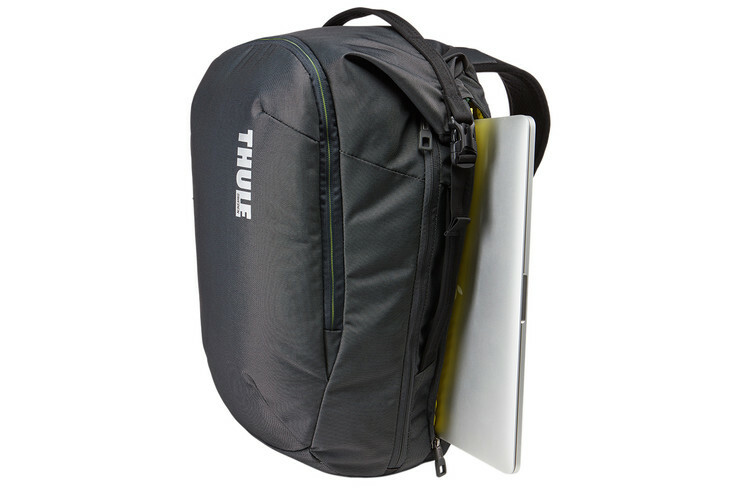 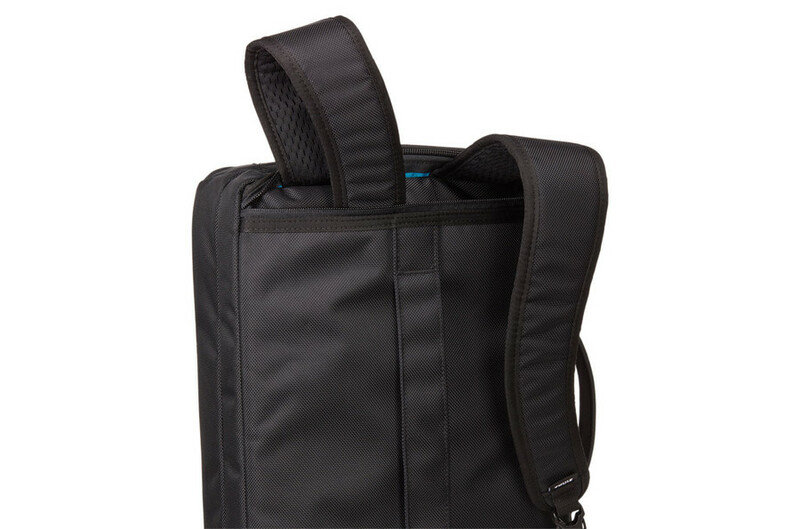 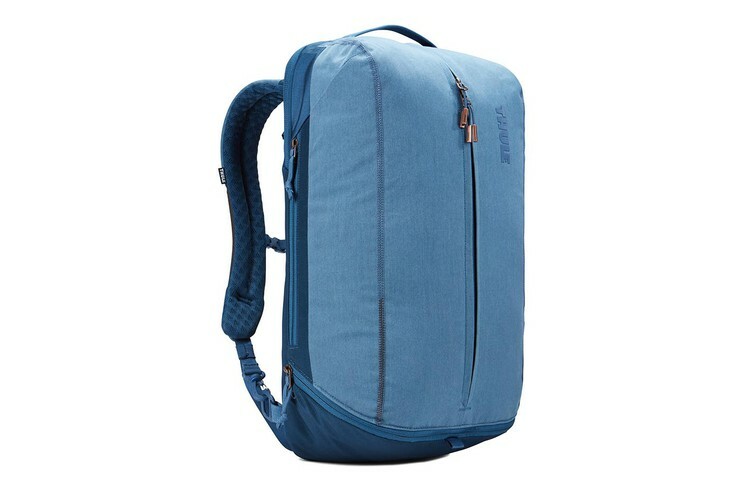 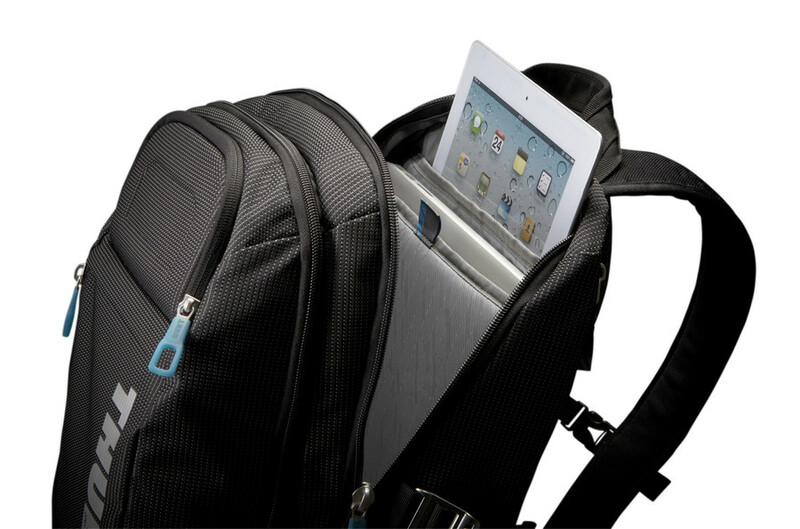 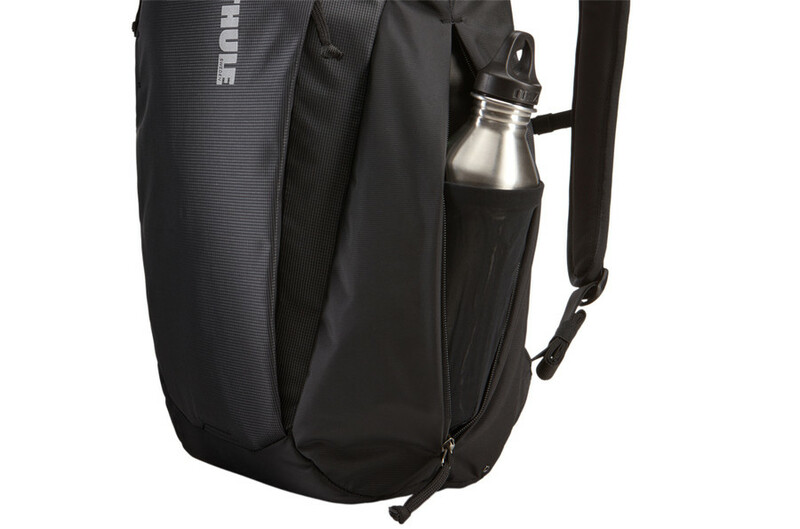 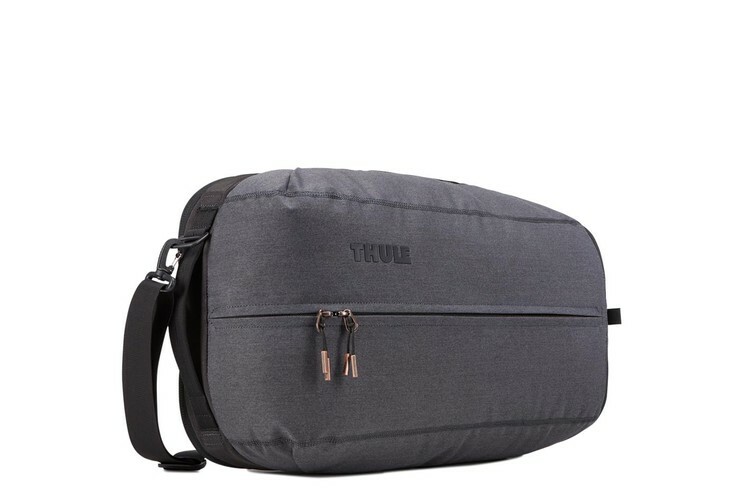 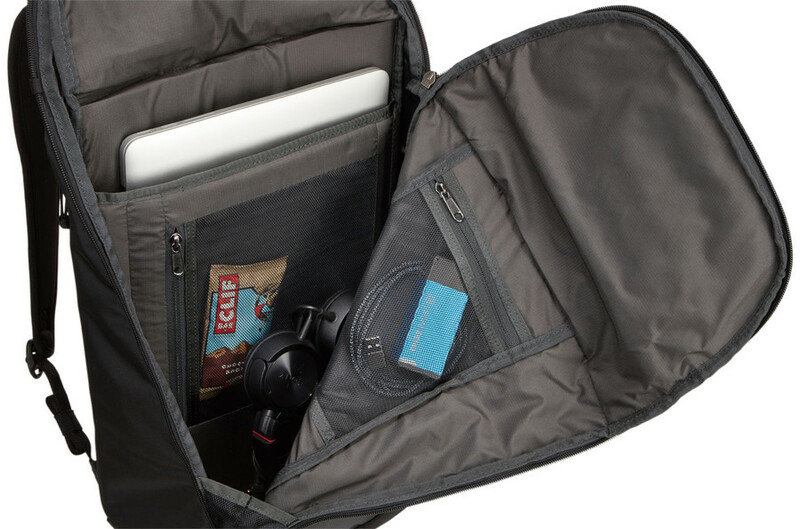 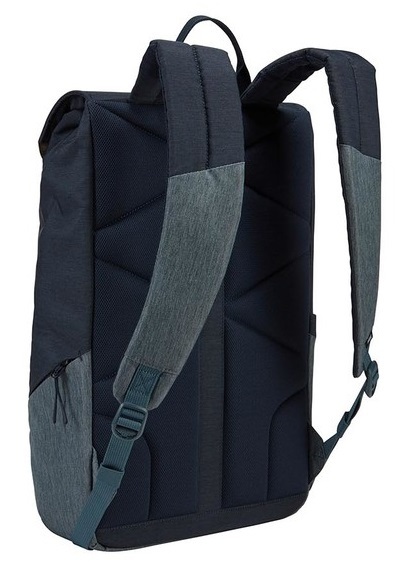 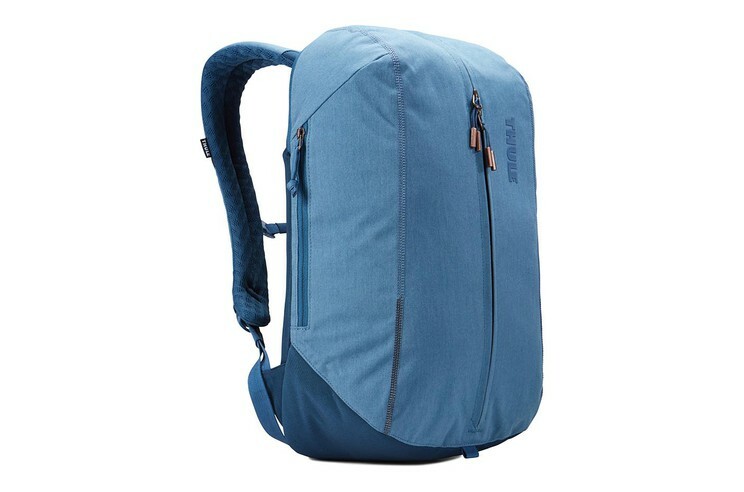 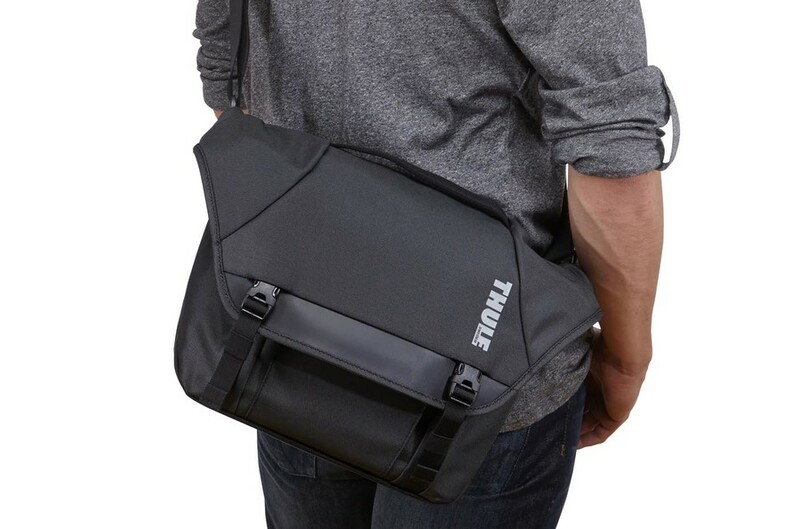 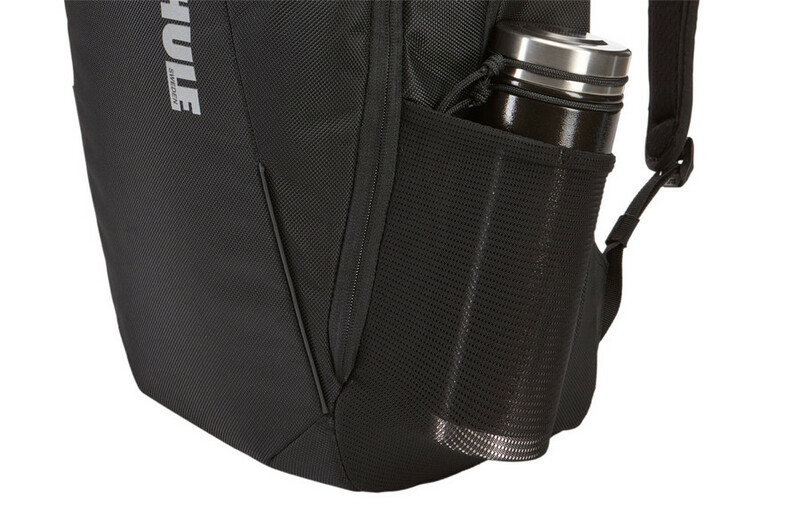 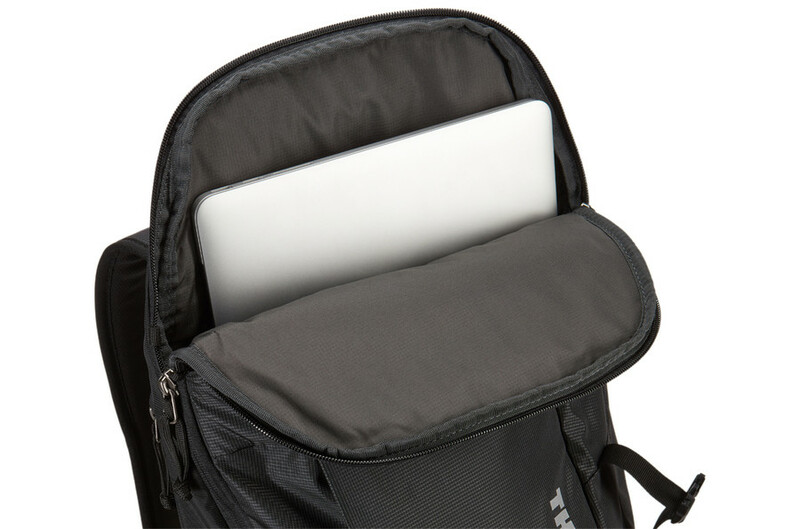 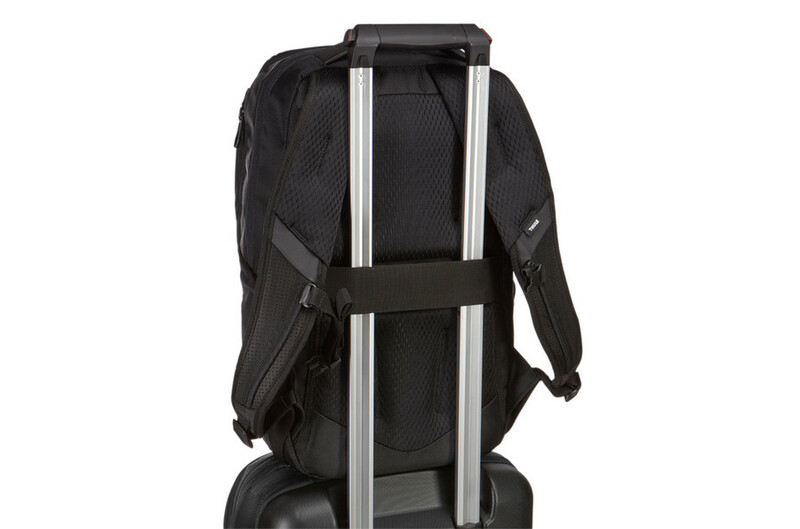 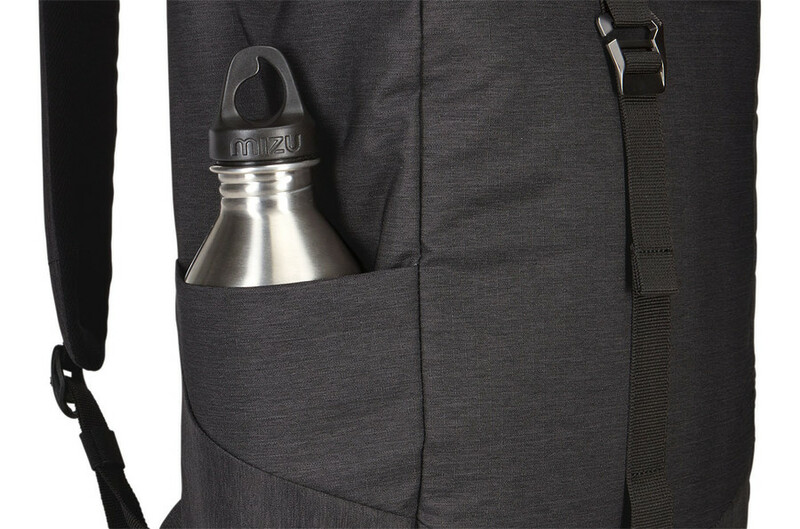 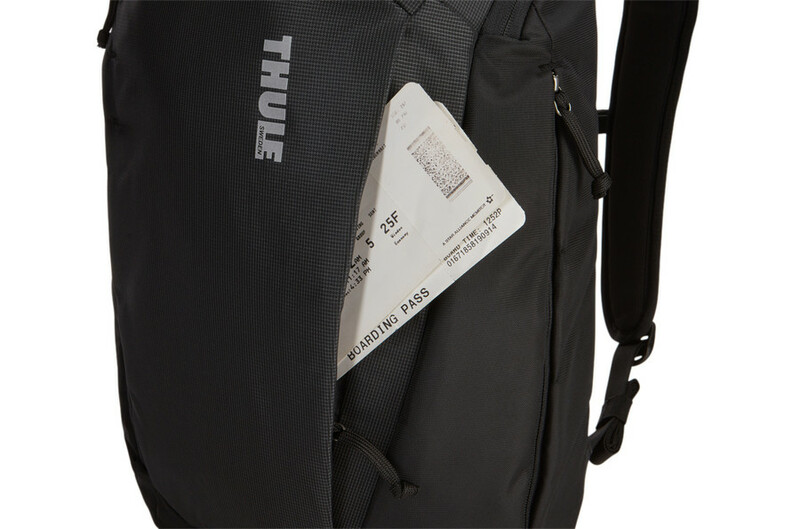 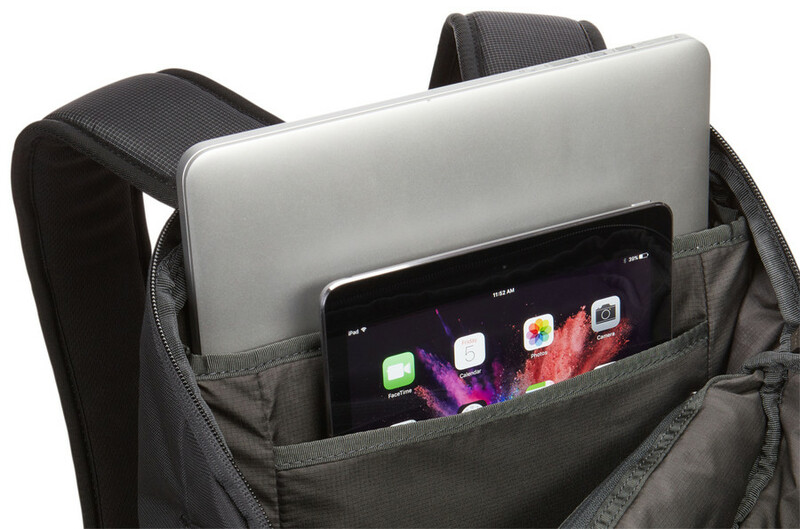 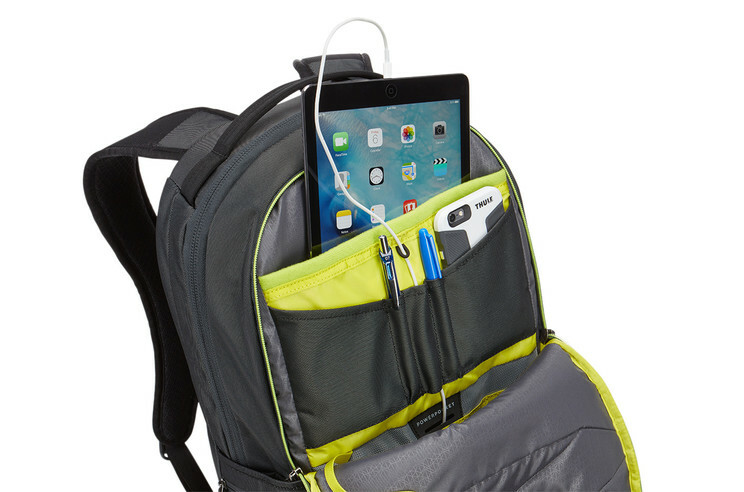 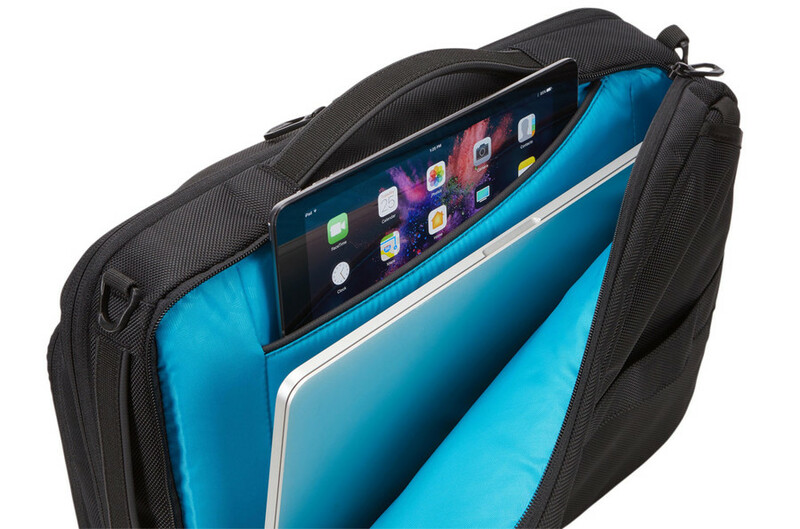 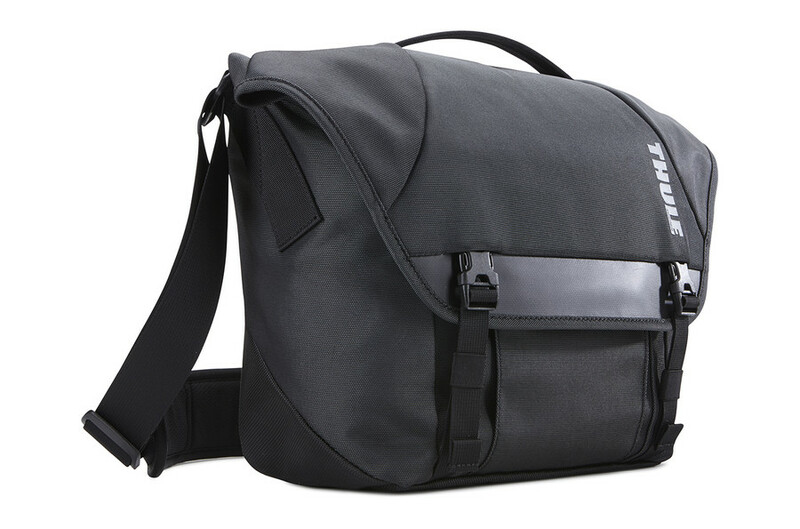 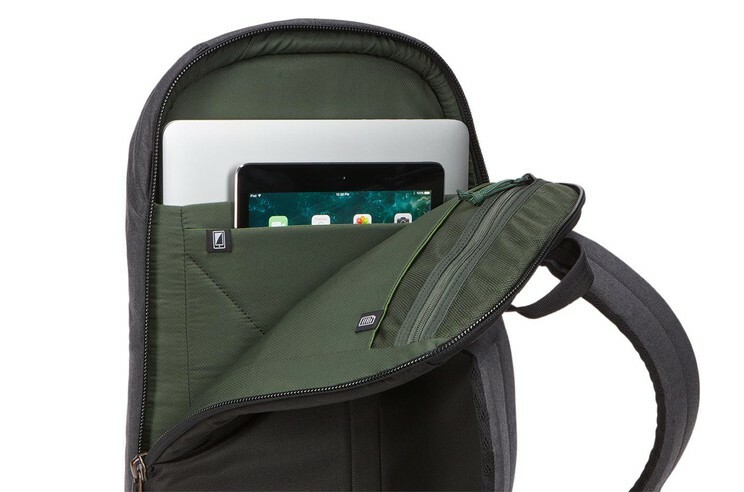 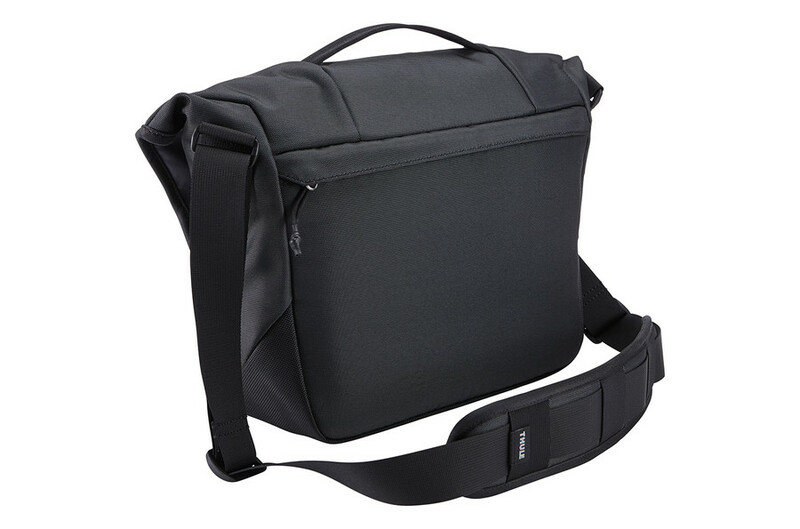 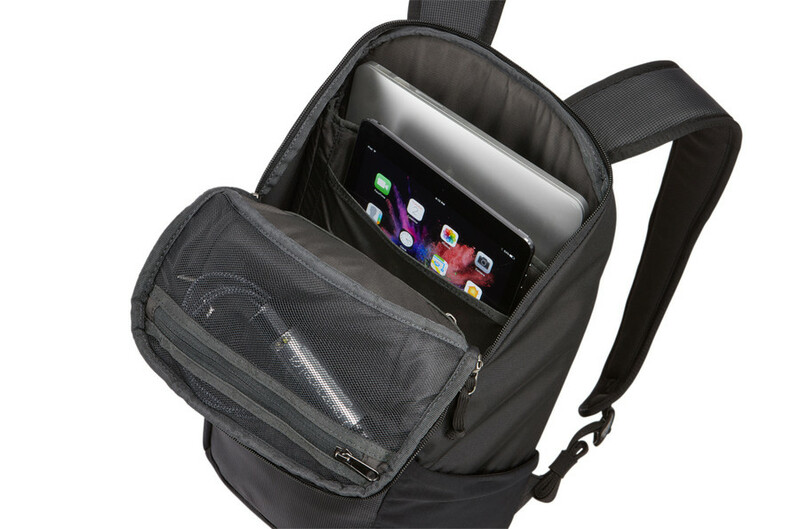 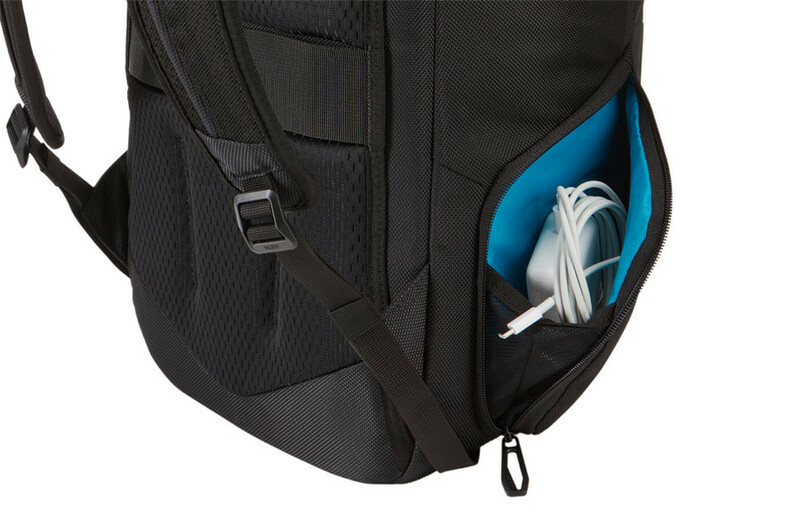 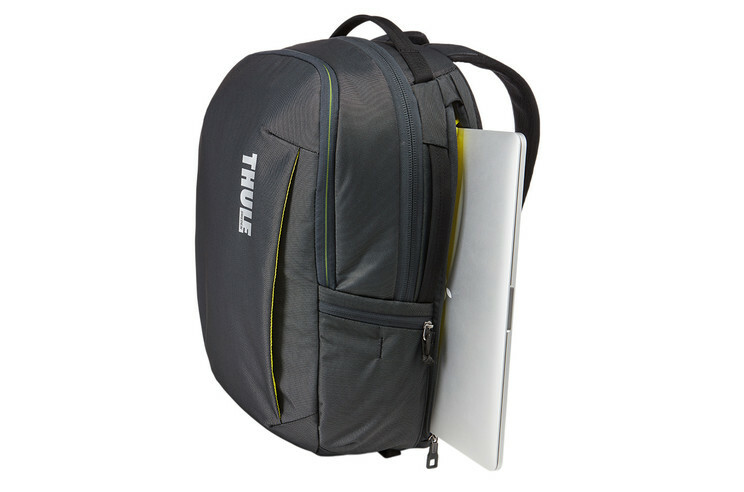 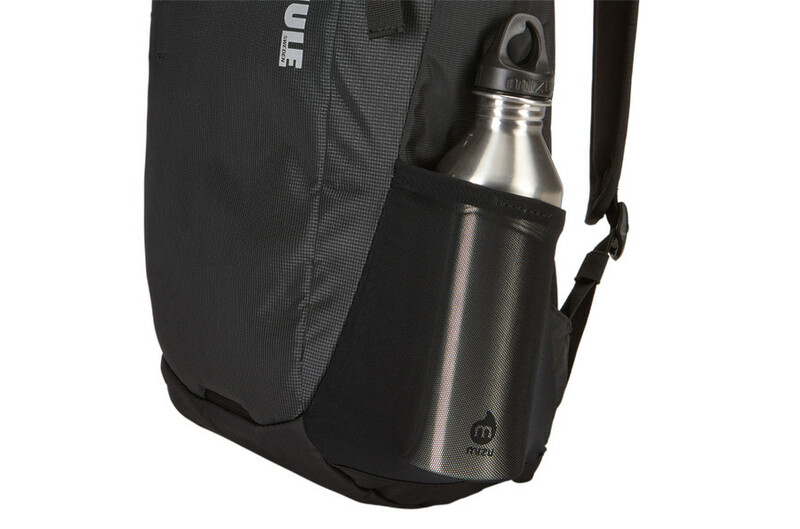 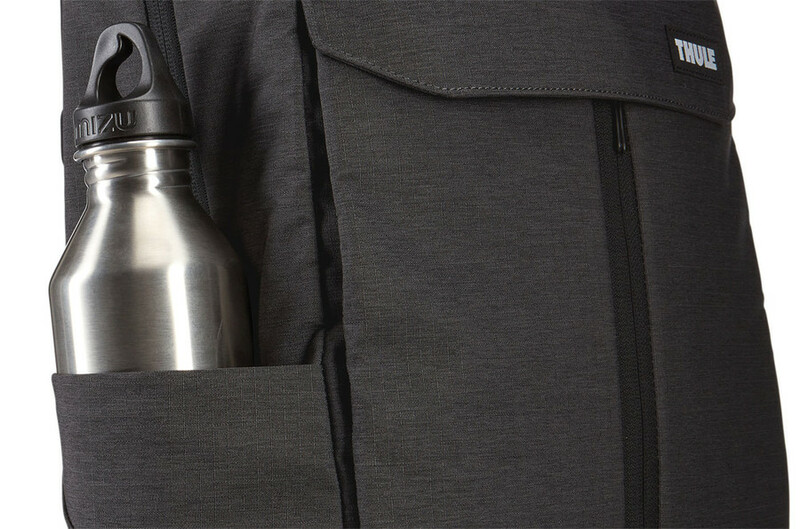 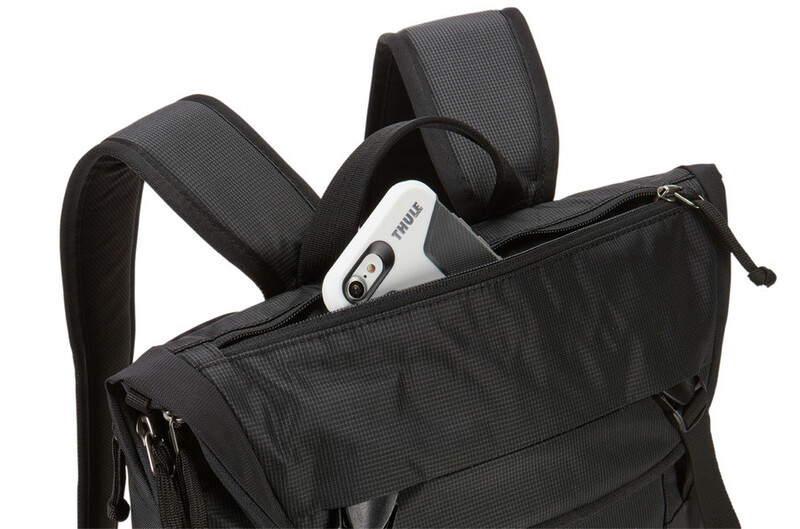 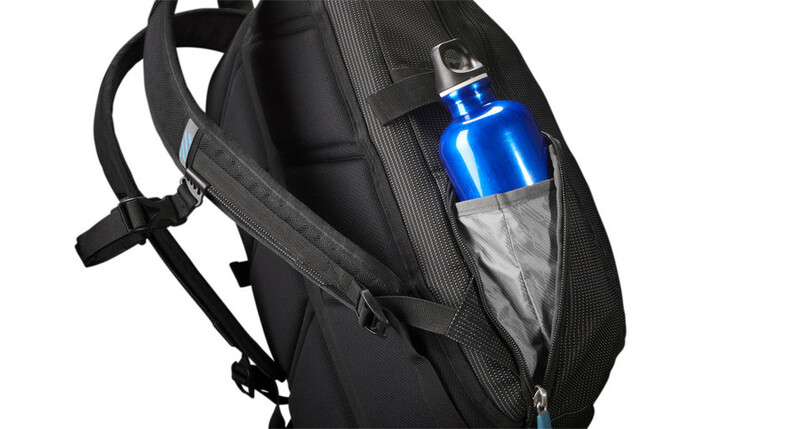 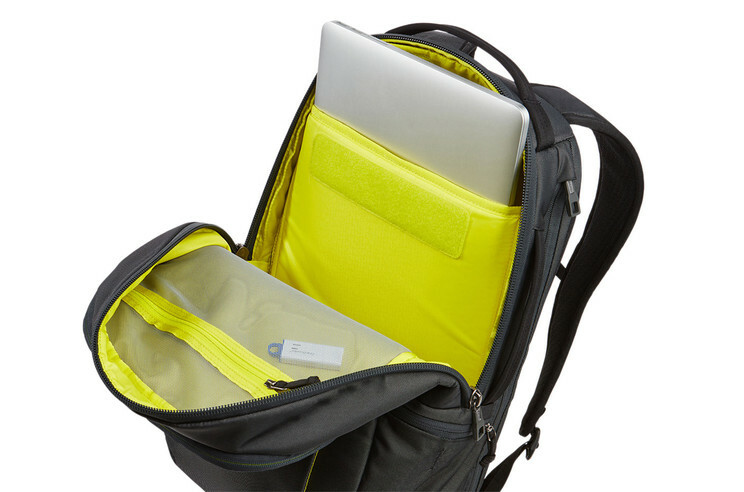 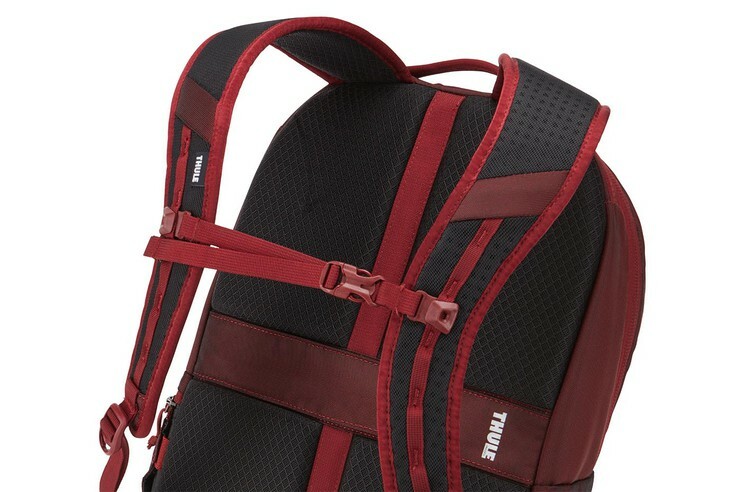 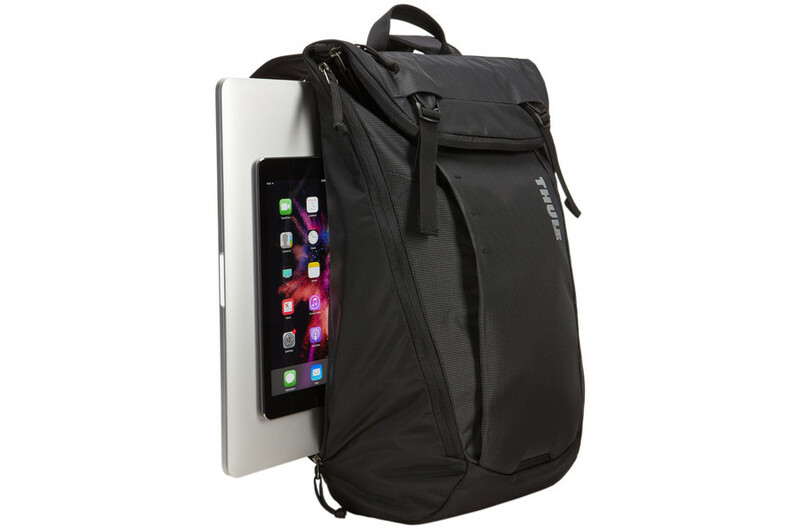 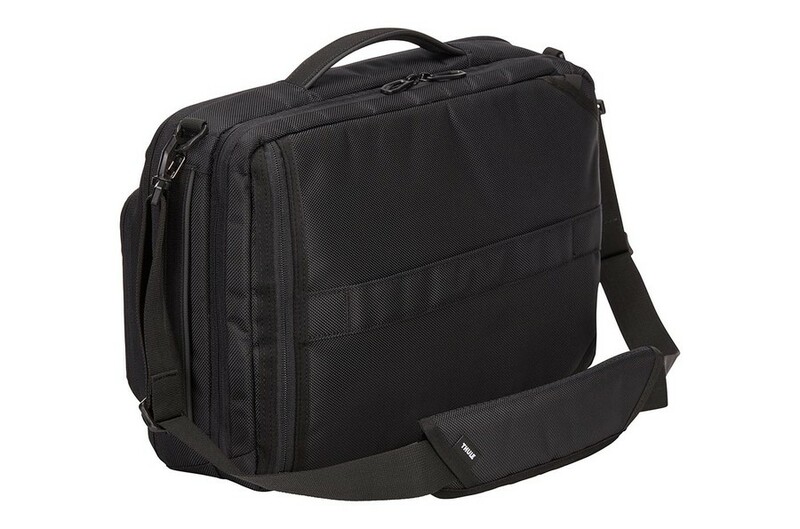 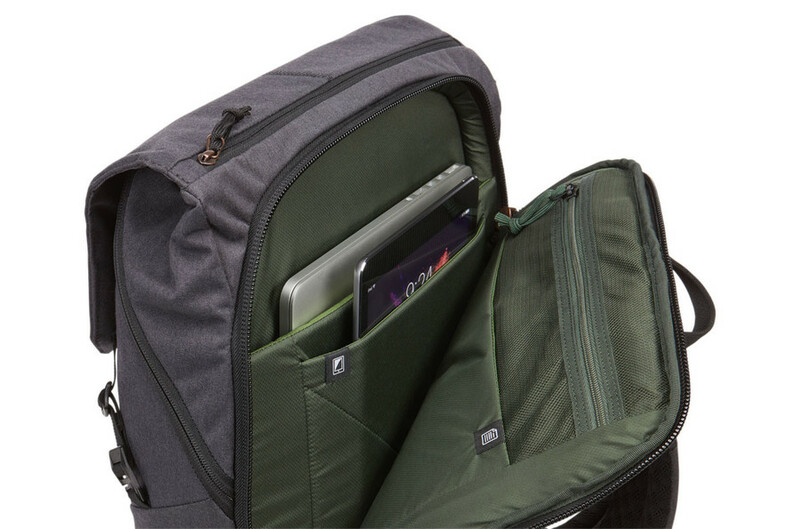 This streamlined 12 liter sling keeps your daily essentials within reach, including a 13" MacBook® and iPad®/10" tablet.